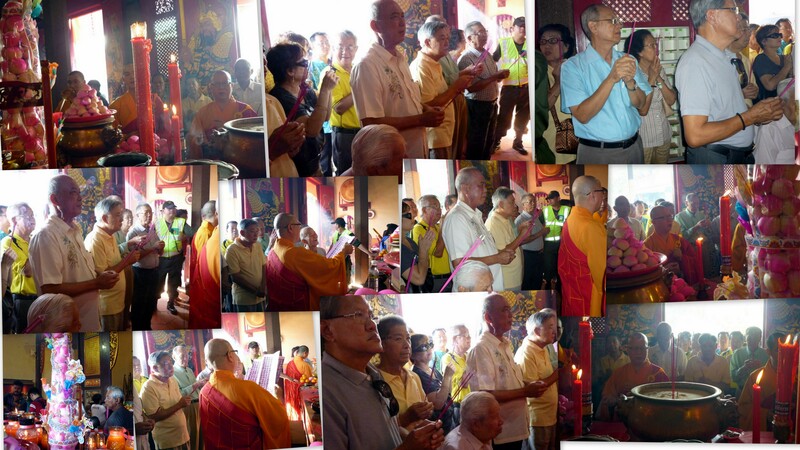 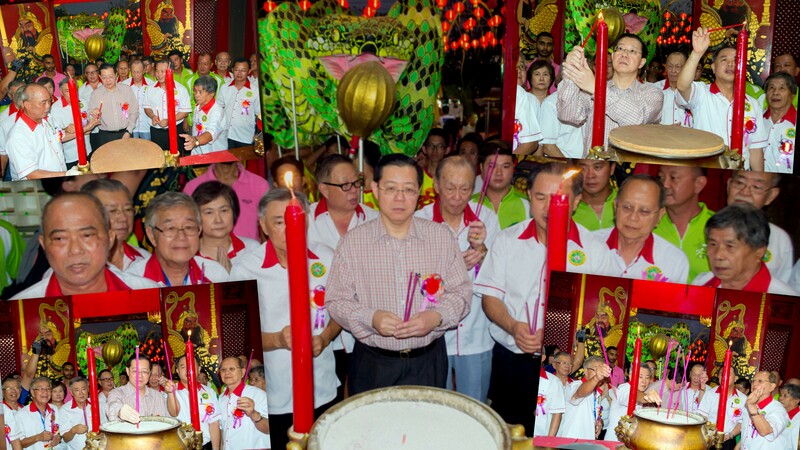 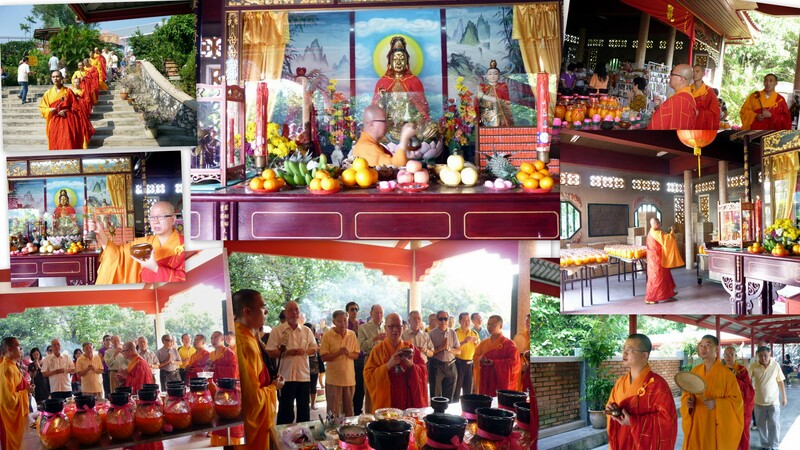 The Board of Trustees of Hokkien Kongsi, Penang held their annual birthday prayers for Chor Soo Kong at 10.00 a.m. on the 6th day of the 1st lunar month of the Year of the Horse (corresponding to Wednesday, 5th February 2014). 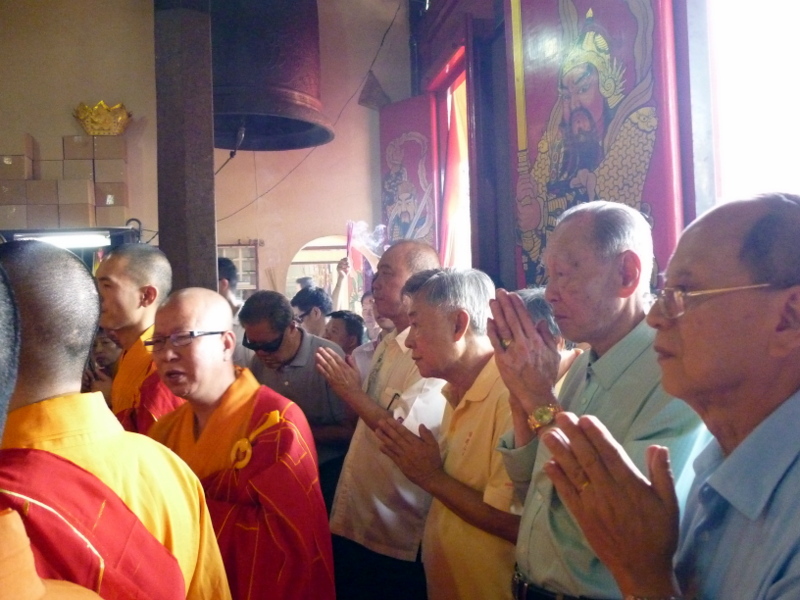 Six monks led the prayers session starting first in the Main Hall of Snake Temple, followed by prayers at the Goddess of Mercy Prayer Hall at the back. 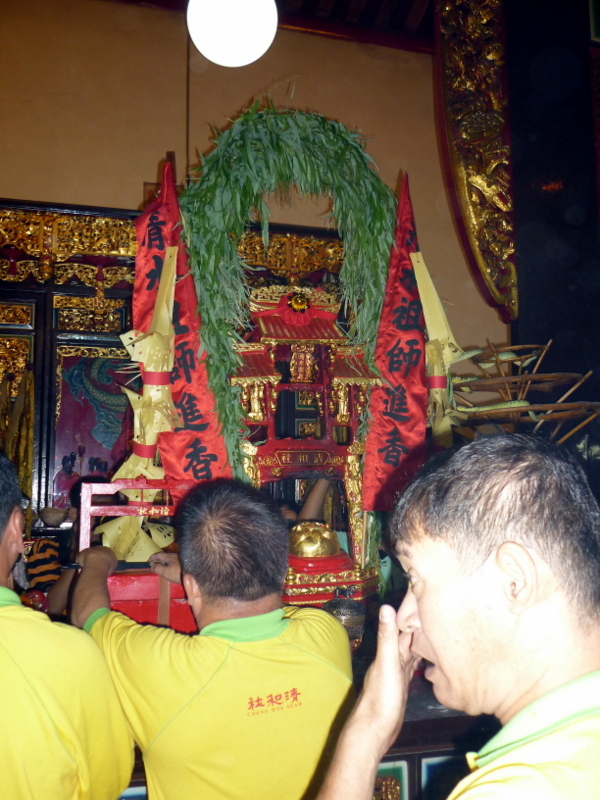 They then proceeded to pray at Tua Peh Kong altar before moving outside to pray to Thni Kong (God of Heaven). 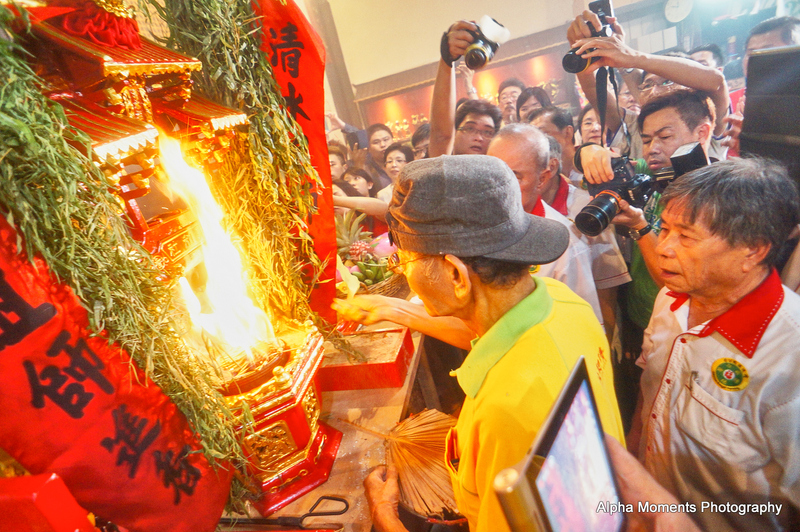 Finally, it was back at the Main Hall to pay homage to Chor Soo Kong again. 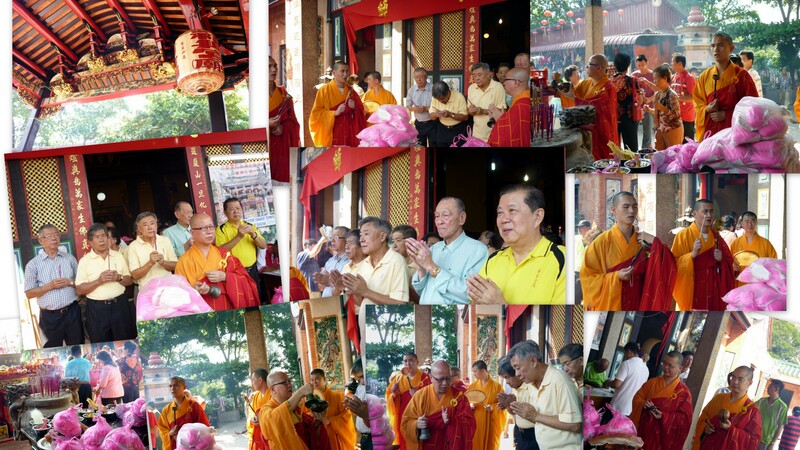 Prayers to Chor Soo Kong in Main Hall on his Birthday. 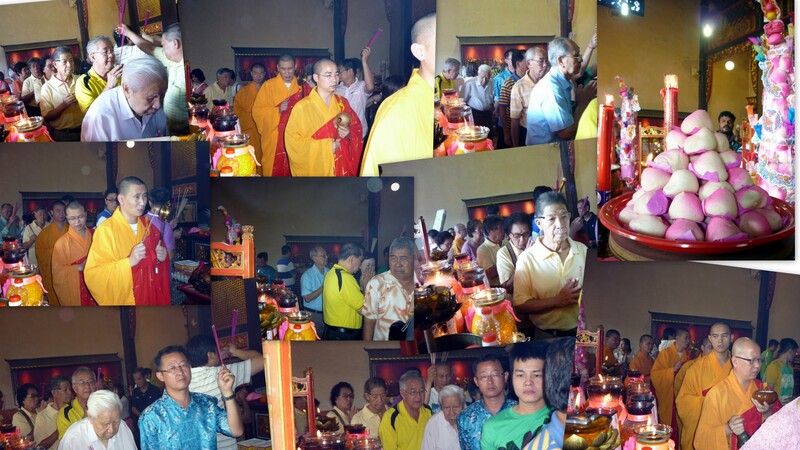 Procession of Monks and Board of Trustees and their wives going round the front altar in Main Hall. 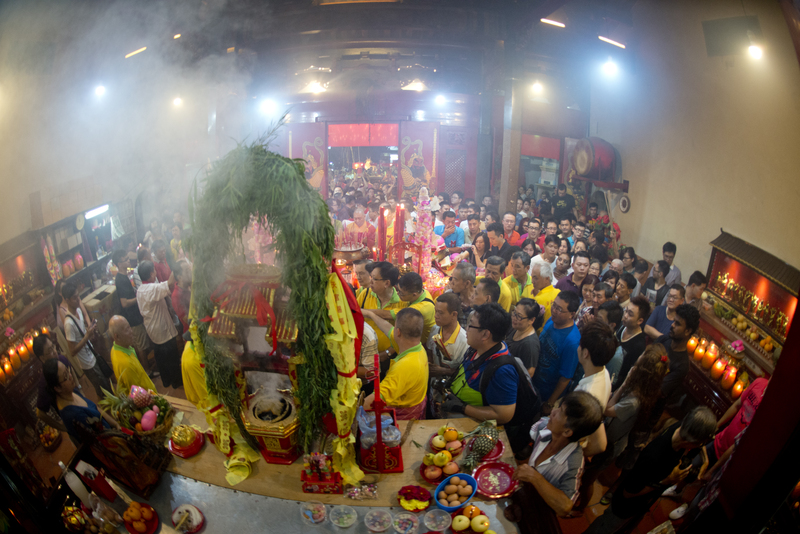 Prayers to Goddess of Mercy in the Prayer Hall at the back of Snake Temple. 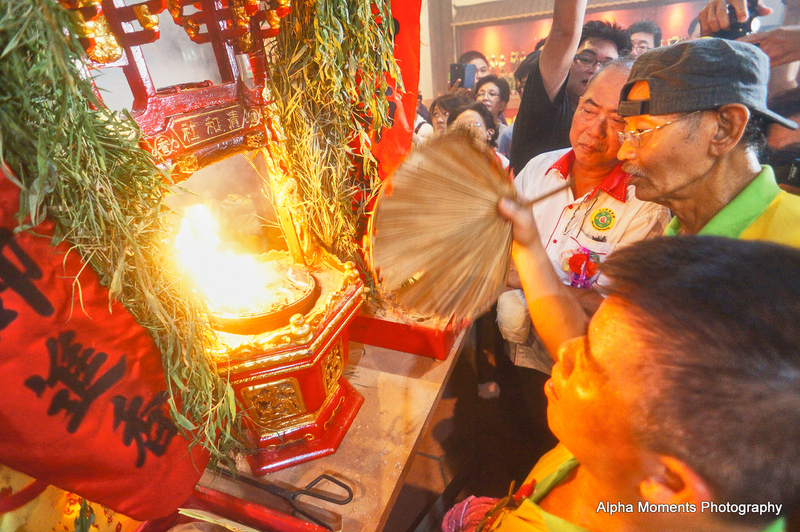 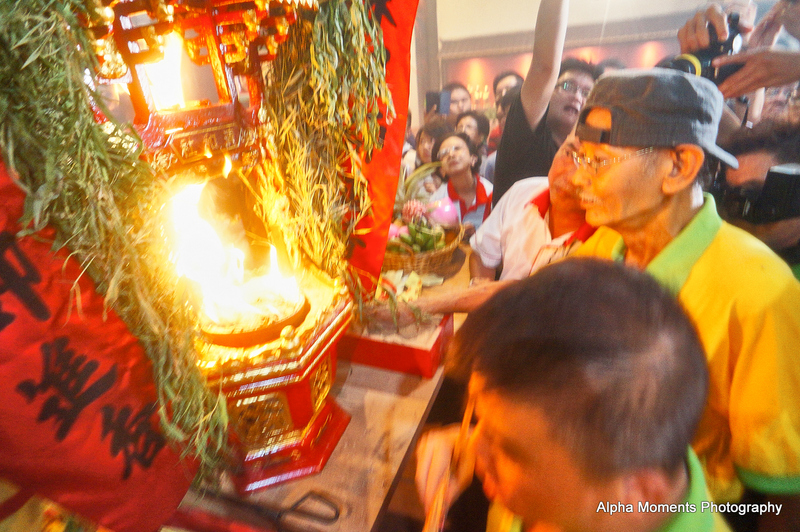 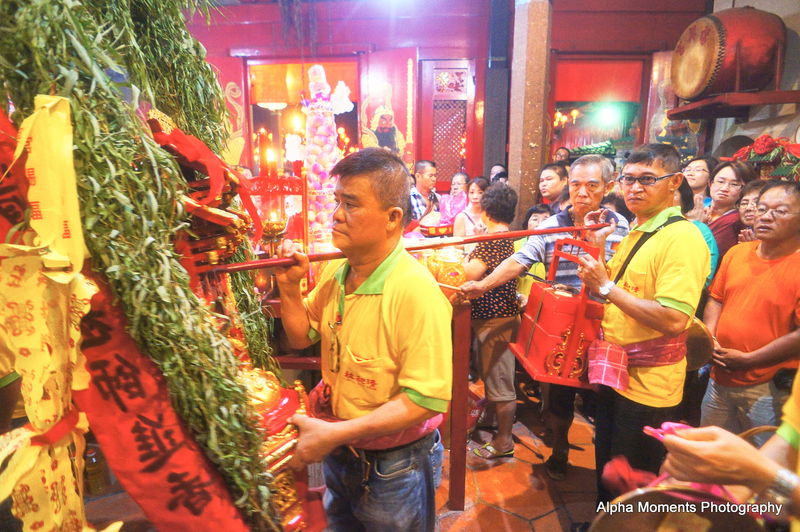 Prayers at the altar of Tua Peh Kong (God of Prosperity). 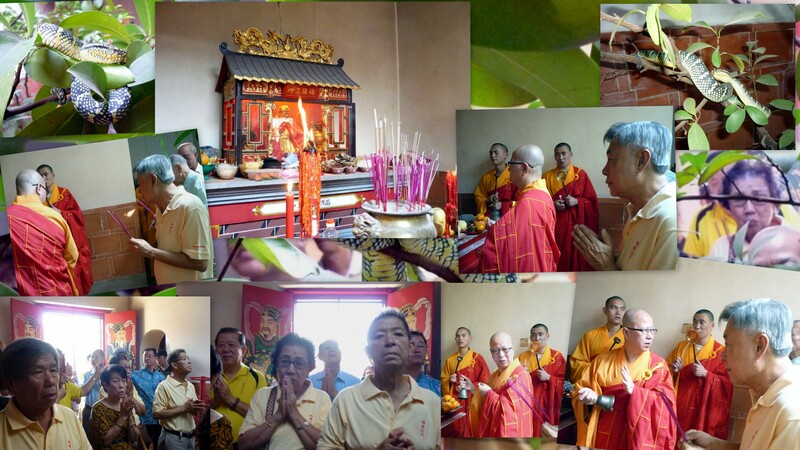 Prayers to Thni Kong (God of Heaven). 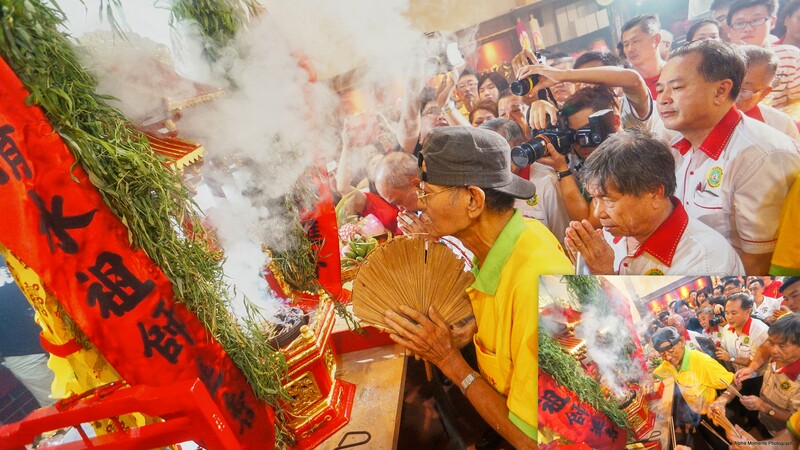 Prayers to God of Heaven. 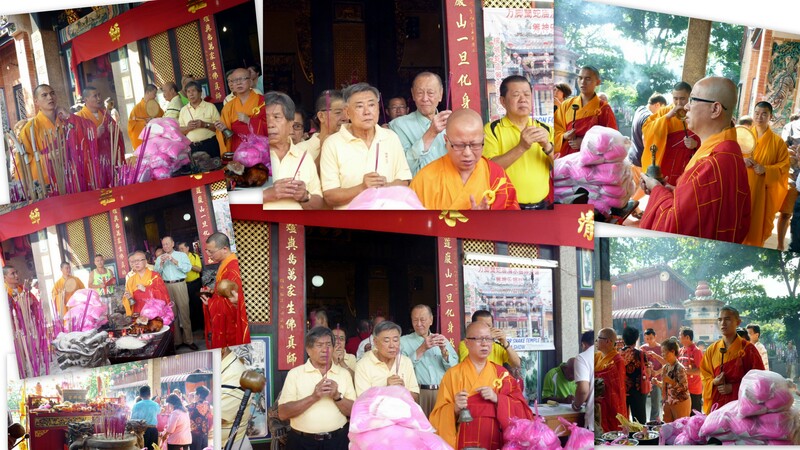 Paying homage to Chor Soo Kong again at the end of the Prayers Session. 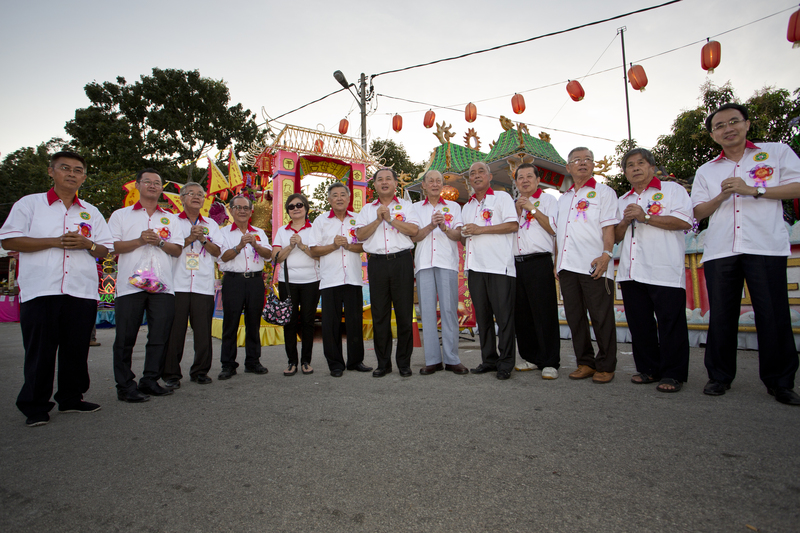 Hokkien Kongsi, Penang together with the Penang State Tourism Development and Culture and the Ban Ka Lan Snake Temple Residents Area Committee jointly organised this Festival, which was held at 7.00 p.m. on Tuesday, 4th February 2014 (corresponding to the 5th day of Chinese New Year). 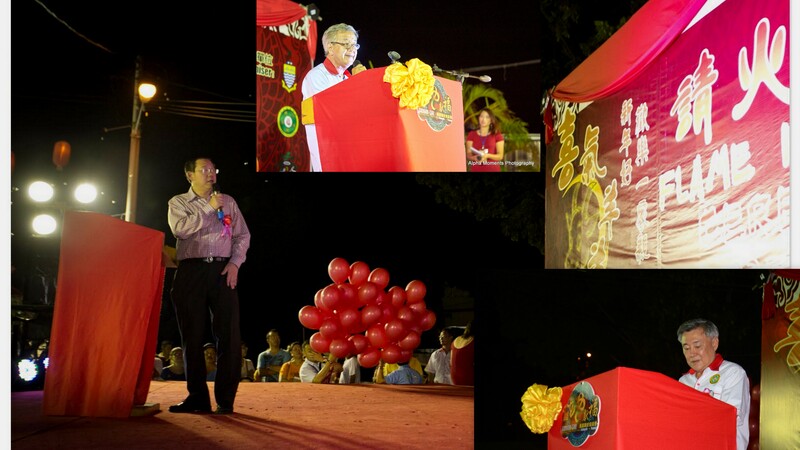 The evening’s event was attended by Y.B. 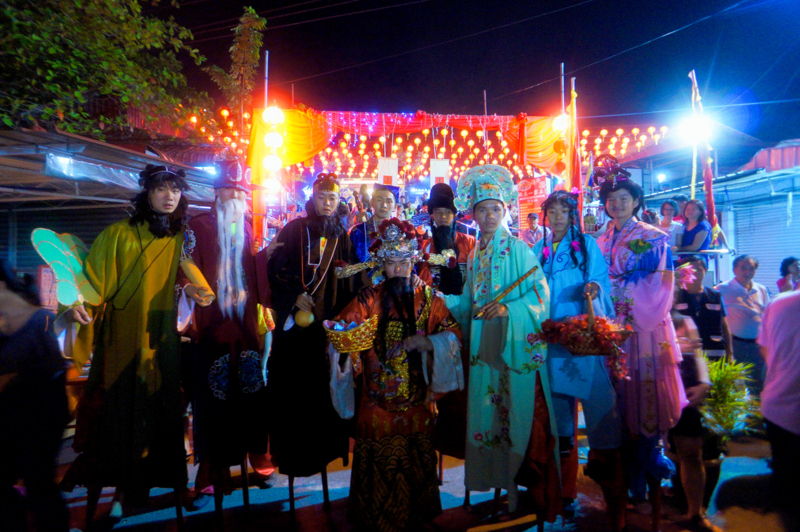 Danny Law, Y.B. 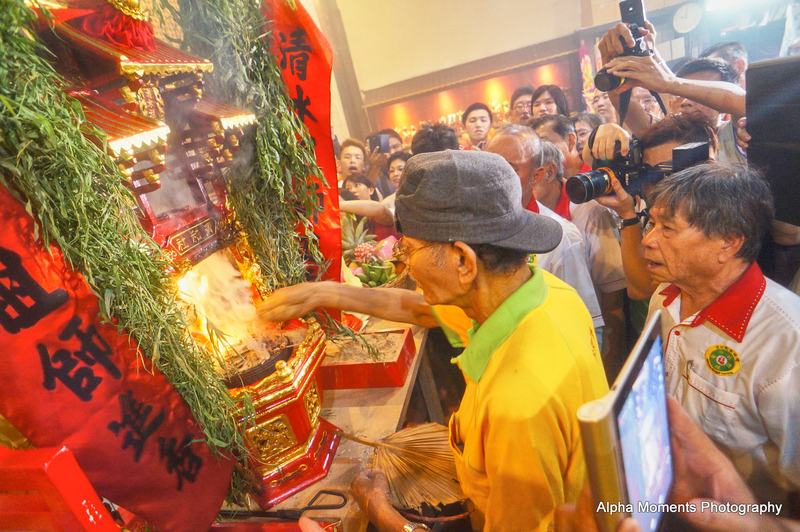 Ng Wei Aik and Y.B. 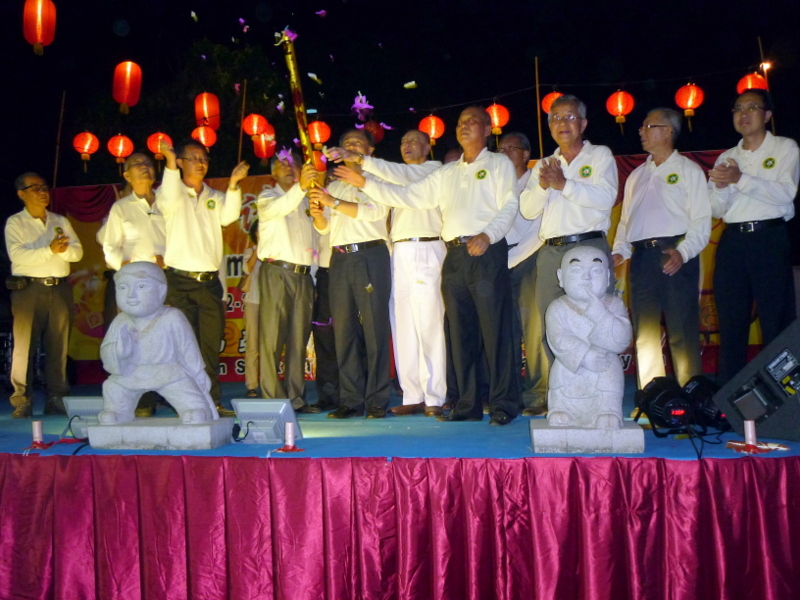 Tuan Abdul Malik. 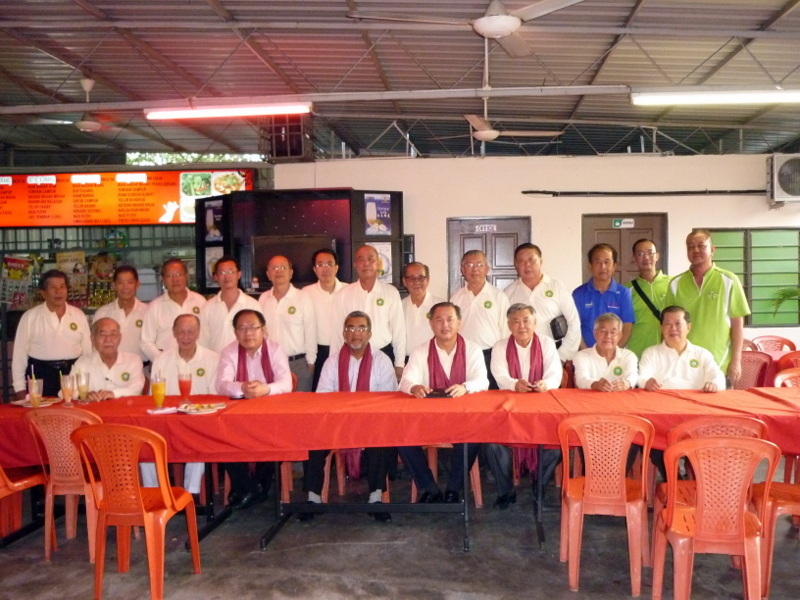 Board of Trustees of Hokkien Kongsi, Penang with Y.B. 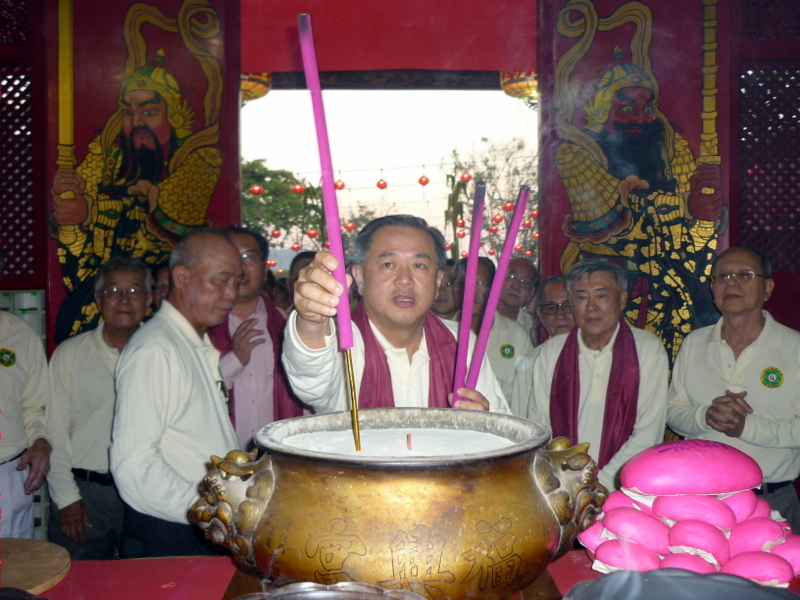 Ng Wei Aik, Y.B. 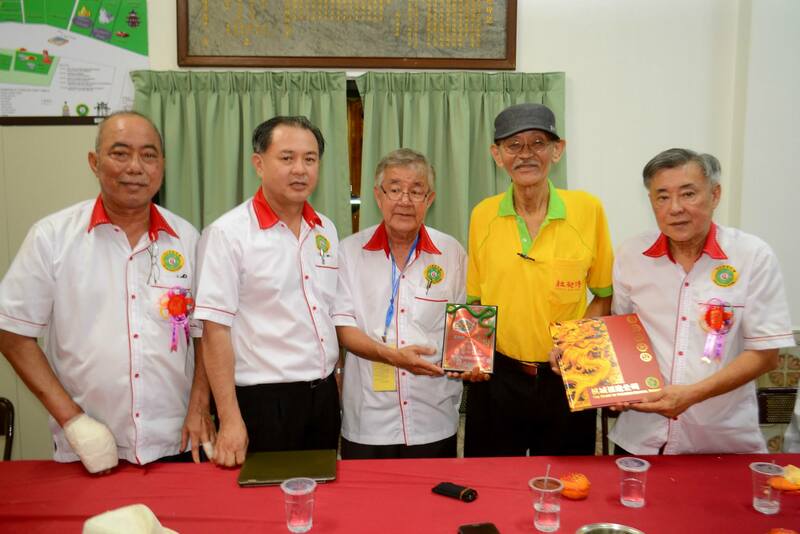 Tuan Abdul Malik, Y.B. 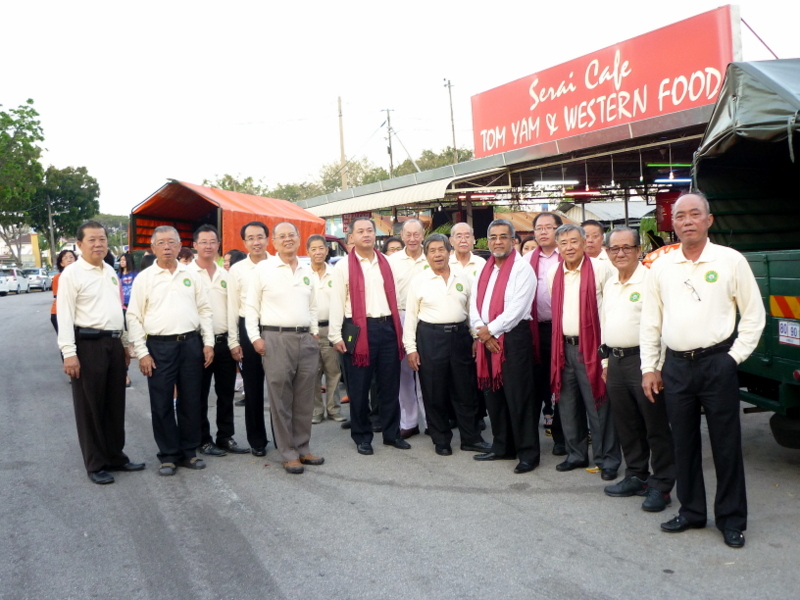 Danny Law and members of the Snake Temple Residents Area Committee members in the Restaurant after an early dinner. 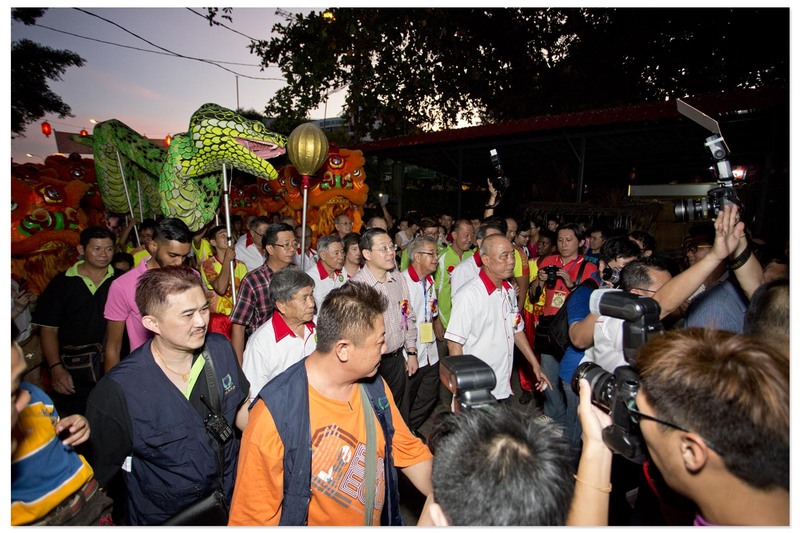 Waiting for the Dragons to come to lead them to the Temple to pay homage to Chor Soo Kong. 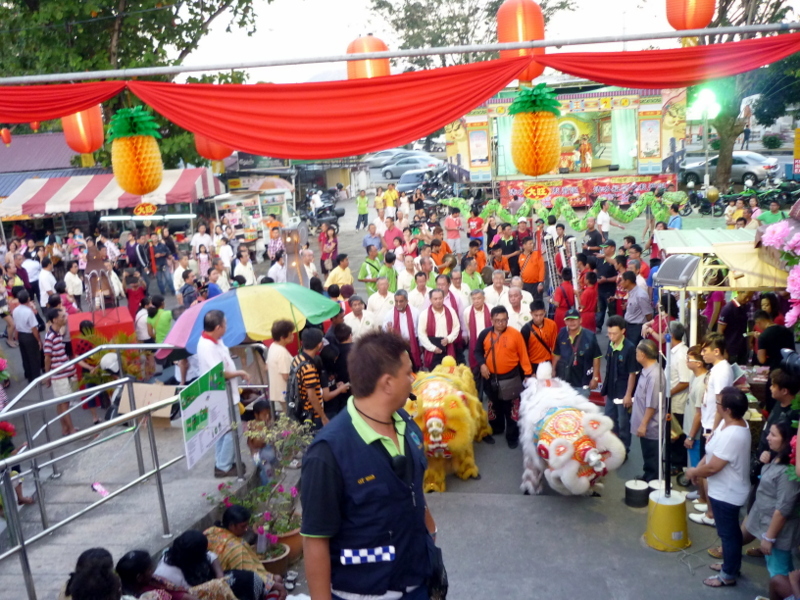 Here they come with a lot of fanfare and spectators witnessing this very colourful event. 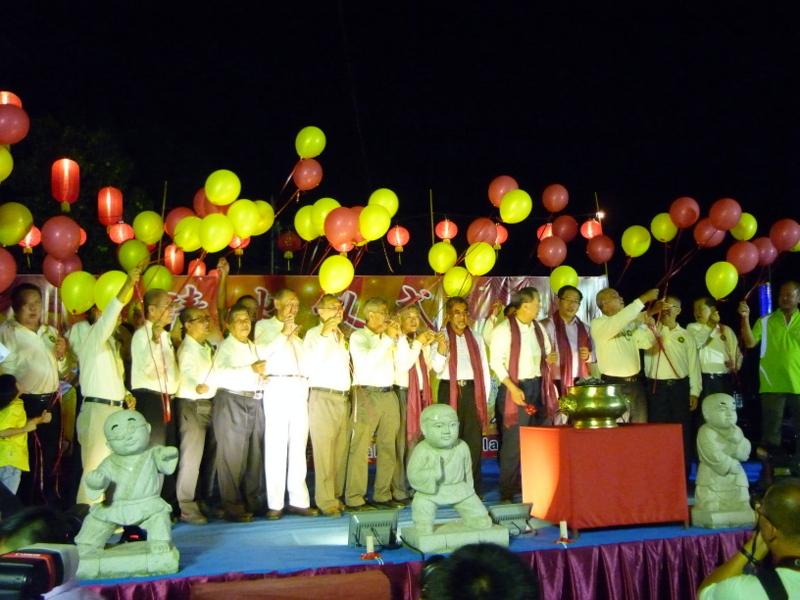 Y.B. 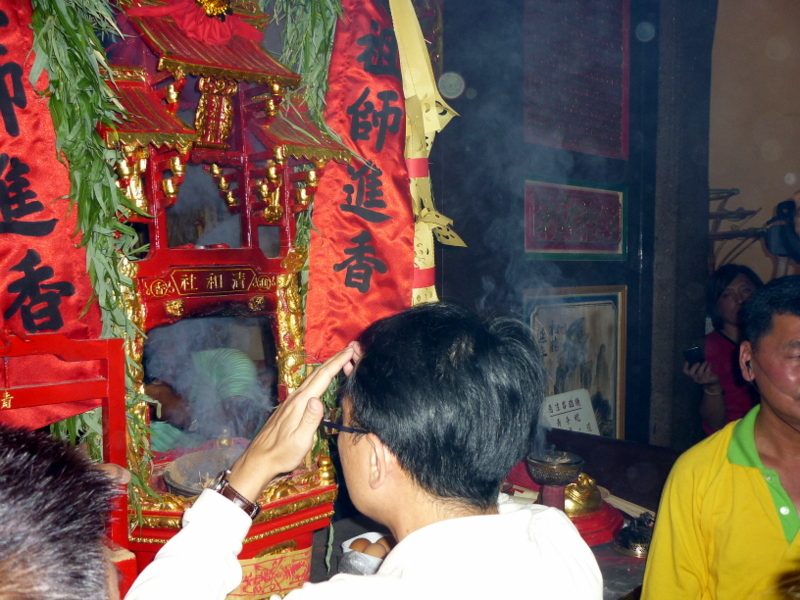 Danny Law paying homage to Chor Soo Kong in the Main Hall of the Snake Temple. 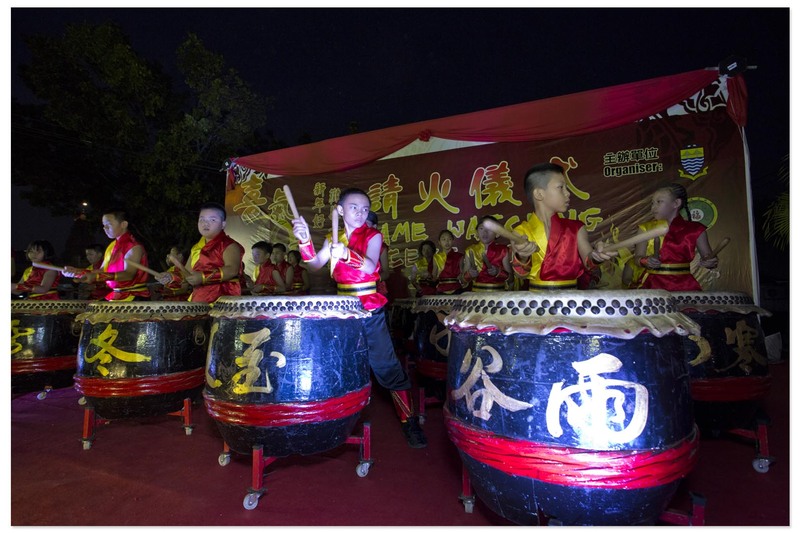 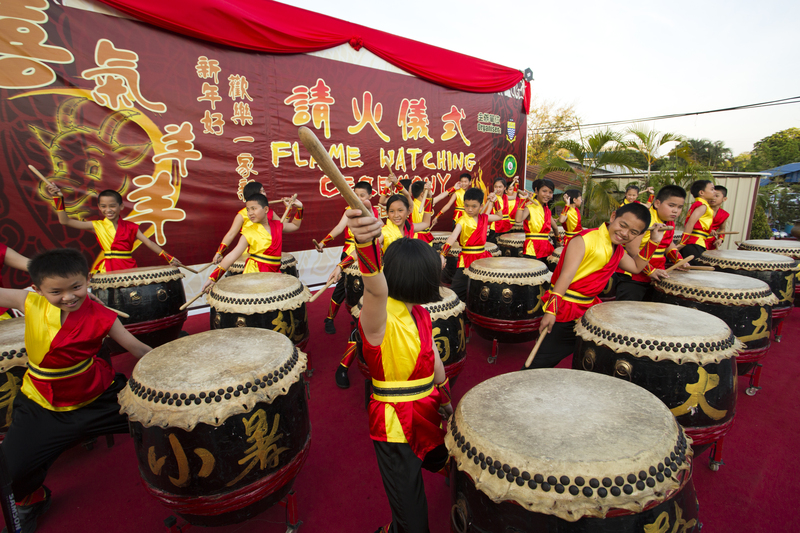 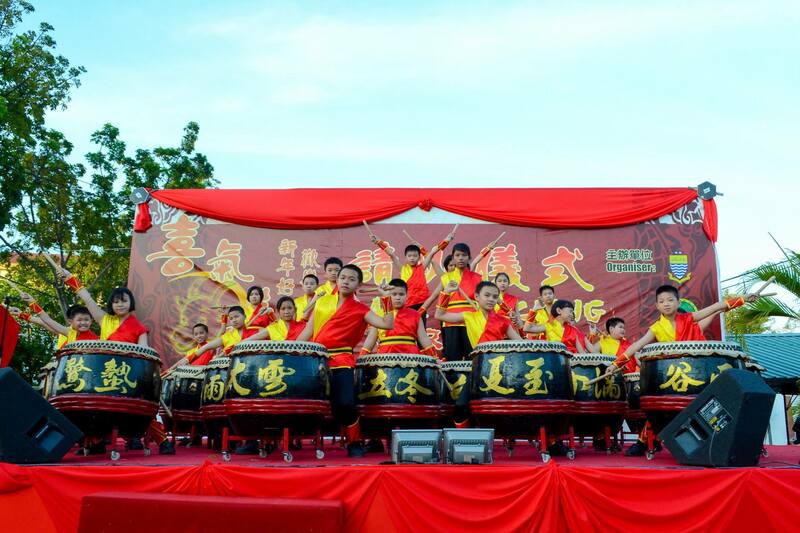 The Chio Tian Culture Drum Performance started off the official opening ceremony. 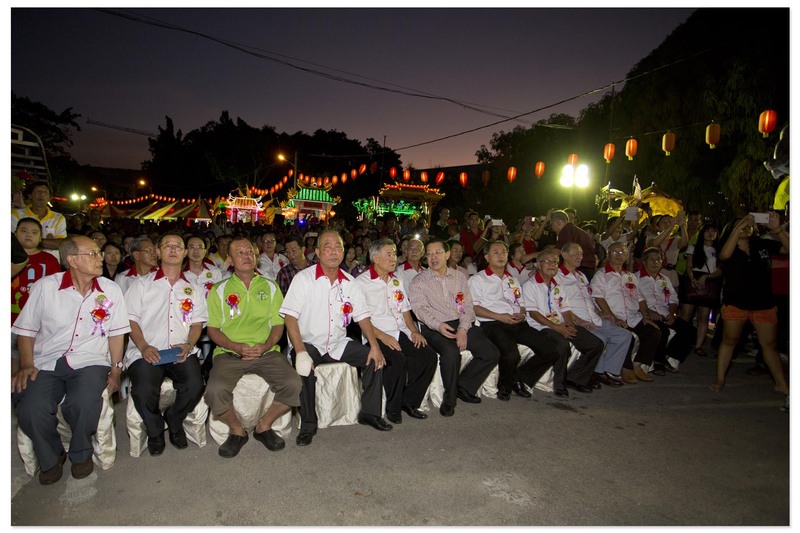 Our Guests of Honour watching the Drum Performance. 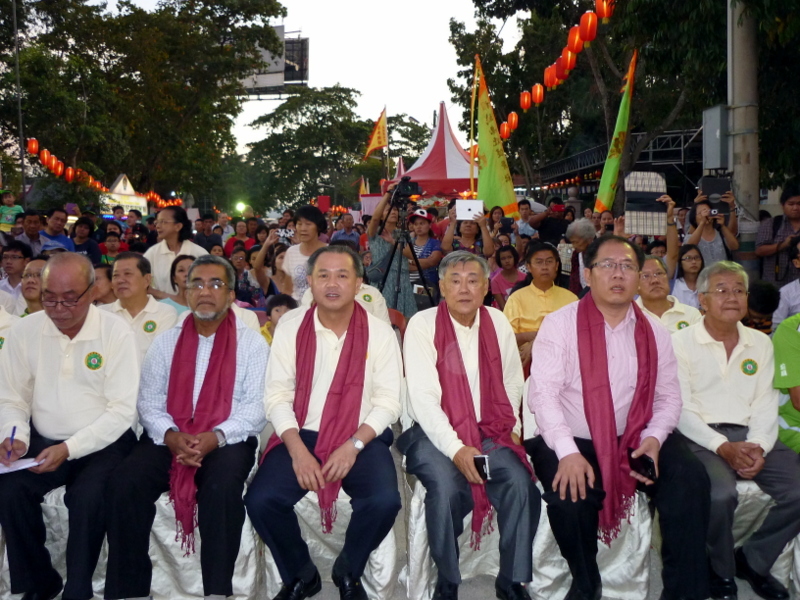 Distinguished guests and spectators at the Official Launching Ceremony. 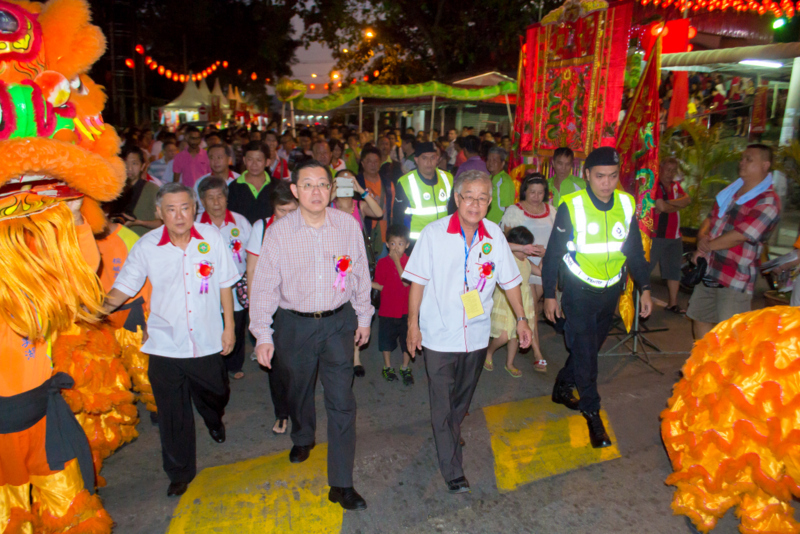 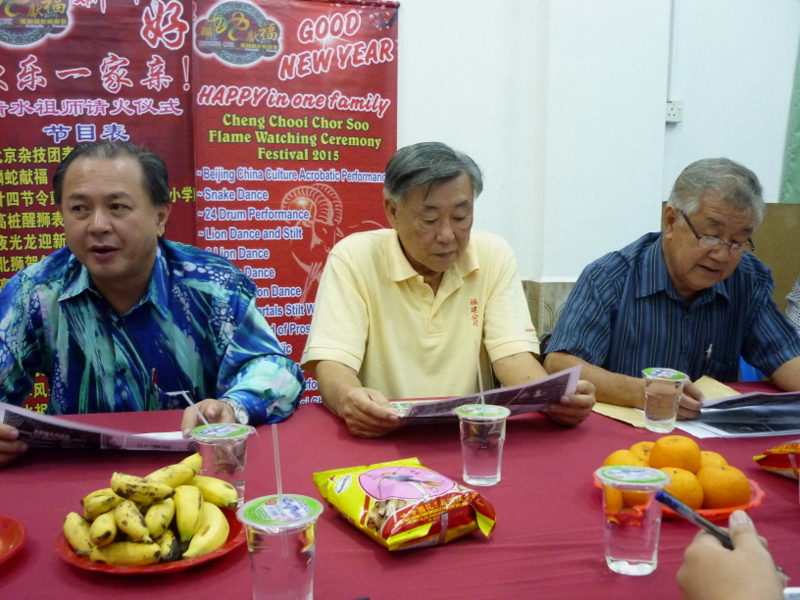 Cheah Cheng Ean, Organising Chairman; Y,B, Danny Law; Khoo Kay Hock, Chairman of Hokkien Kongsi Penang; Y.B. 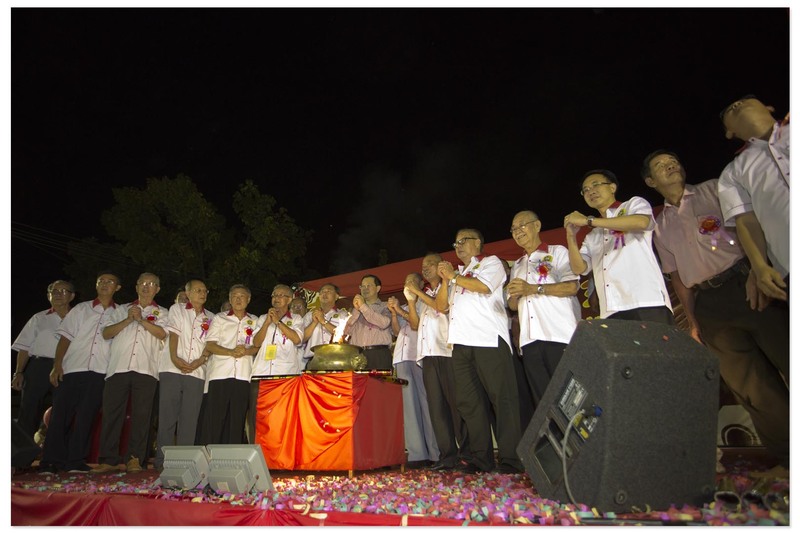 Tuan Abdul Malik; Y.B. 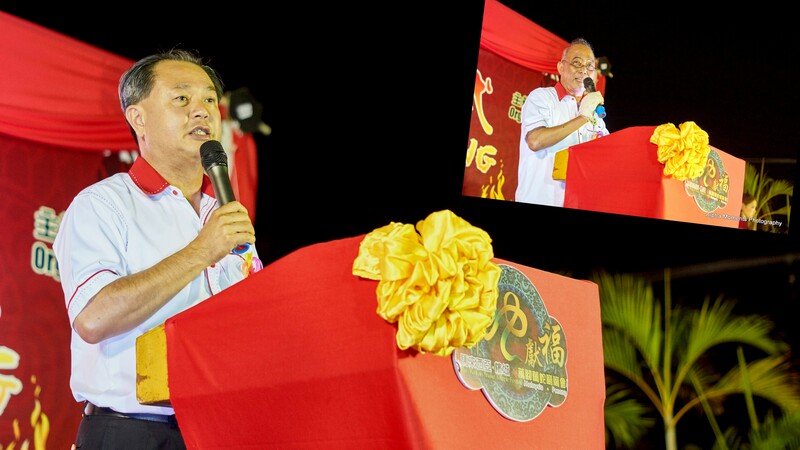 Ng Wei Aik; Tan Lye Hock, Celebration Advisor giving speeches. 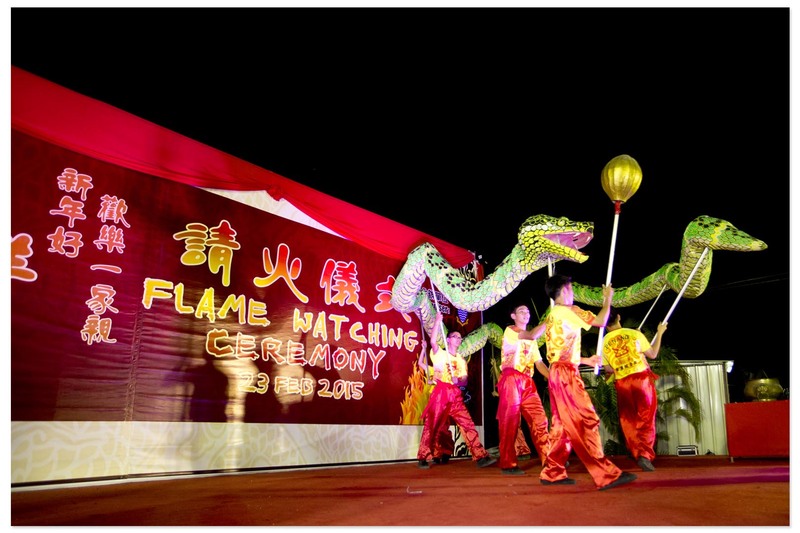 Official Opening of the Flame Watching Festival 2014. 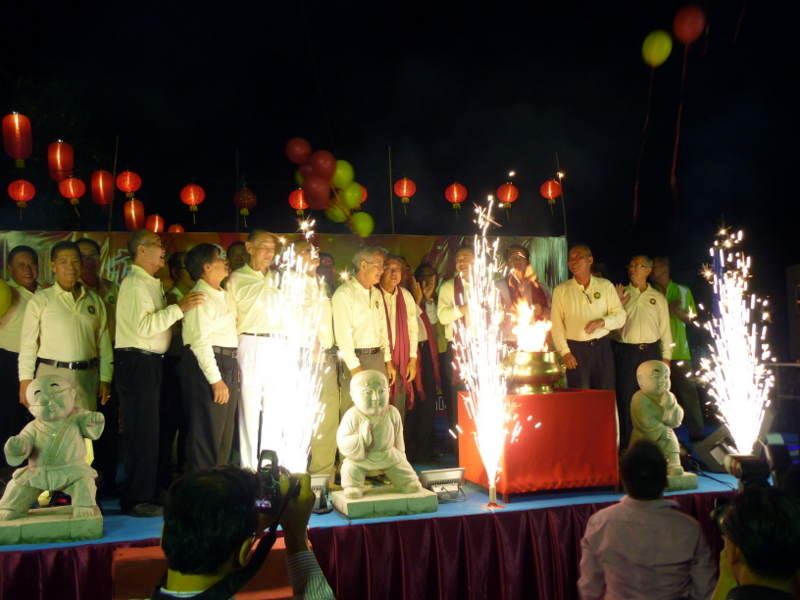 The Official Flame was lighted by Y.B. 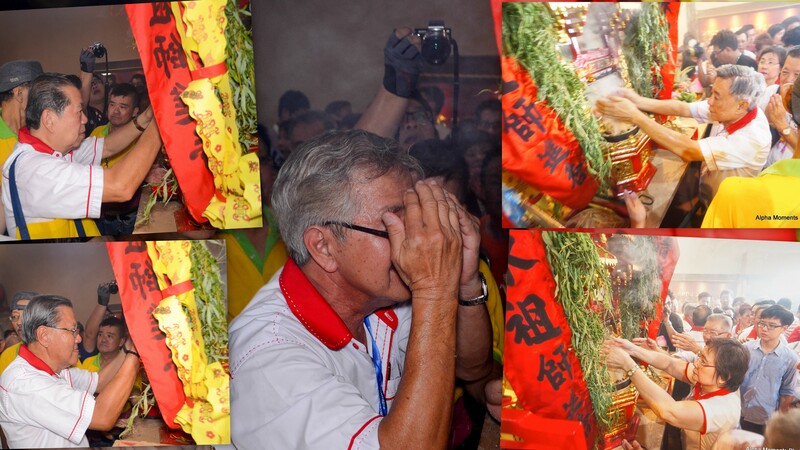 Danny Law. 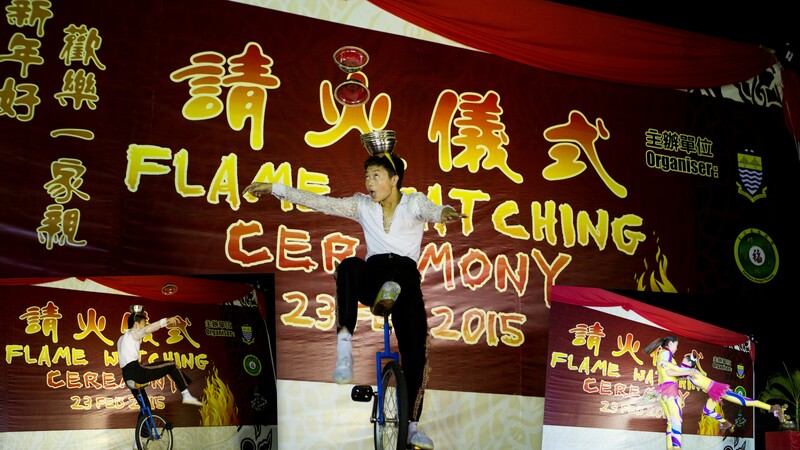 After the official launching ceremony, the evening’s entertainment began and the main show was a stellar performance by the Shanghai China Cultural Acrobatic Performers. 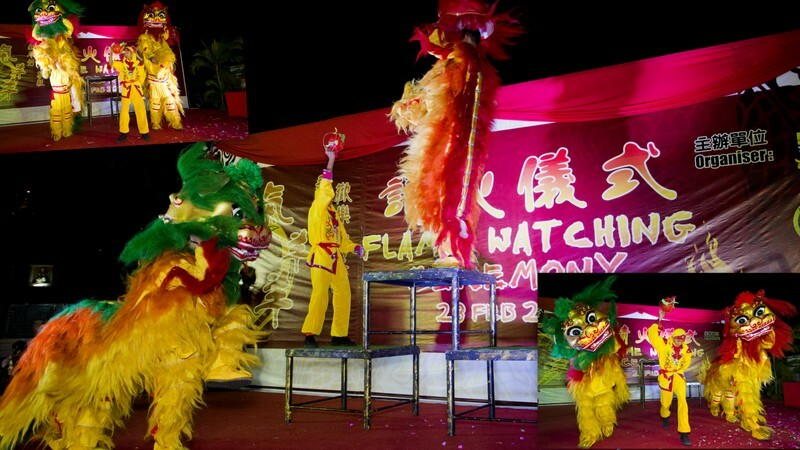 They held the crowd enthralled and the spectators clapped their hands with much delight and admiration for the performers’ acrobatic skills. 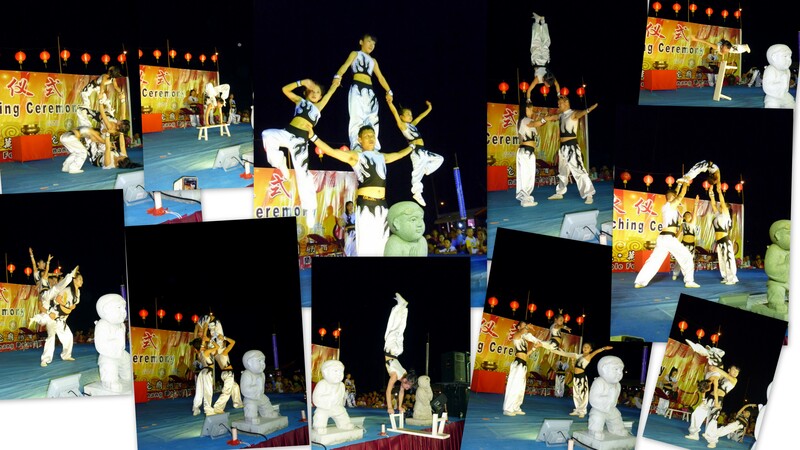 I will endeavour to give you photo collages to showcase the skills of the young acrobats. 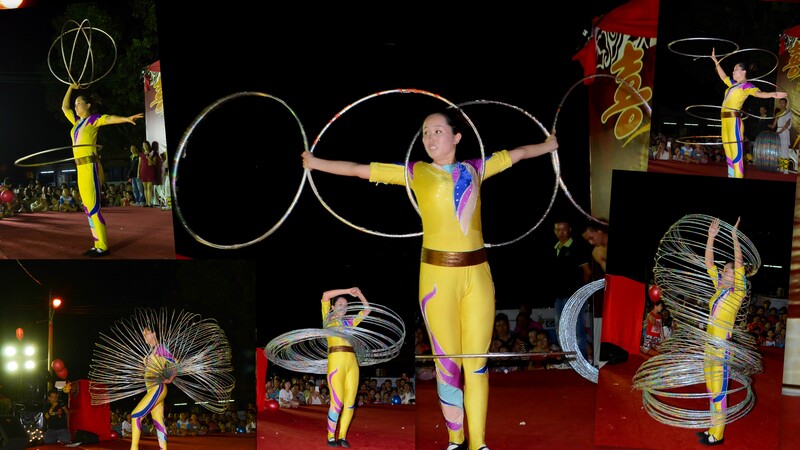 Shanghai China Cultural Acrobatic Performance. 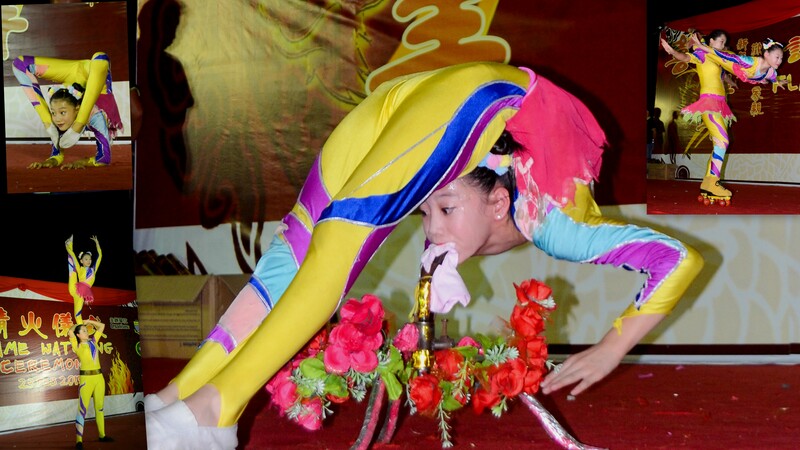 Young acrobats showing their phenomenal acrobatic skills. 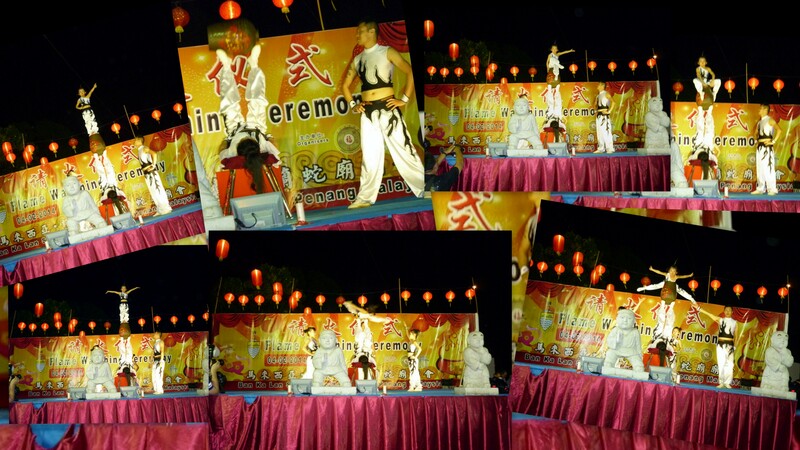 Finale – Lady Acrobat balancing and twirling a heavy urn with her legs. 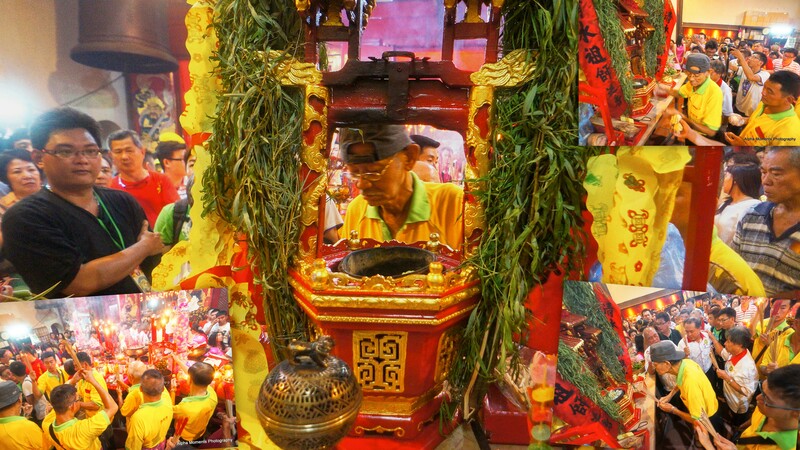 The youngest acrobat struck various poses on top of the urn. 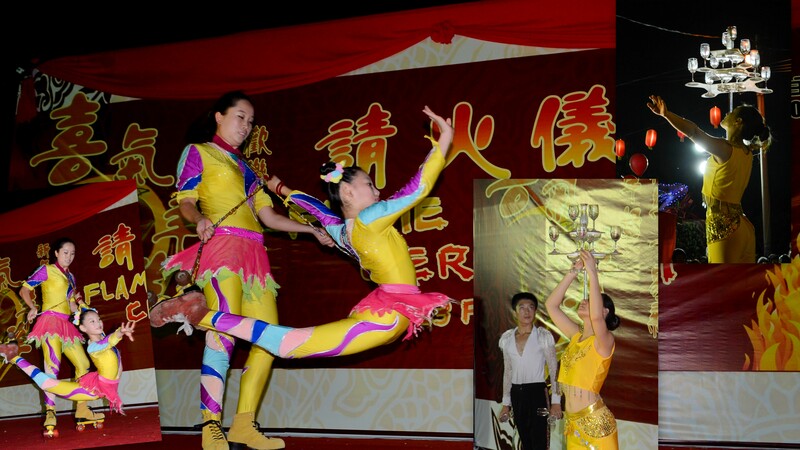 Finally she was twirled in mid-air by the Lady Acrobat. 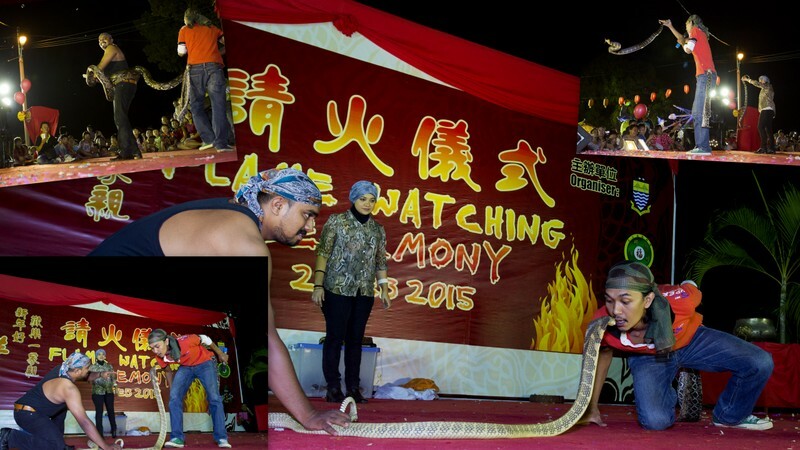 A most enthralling show. 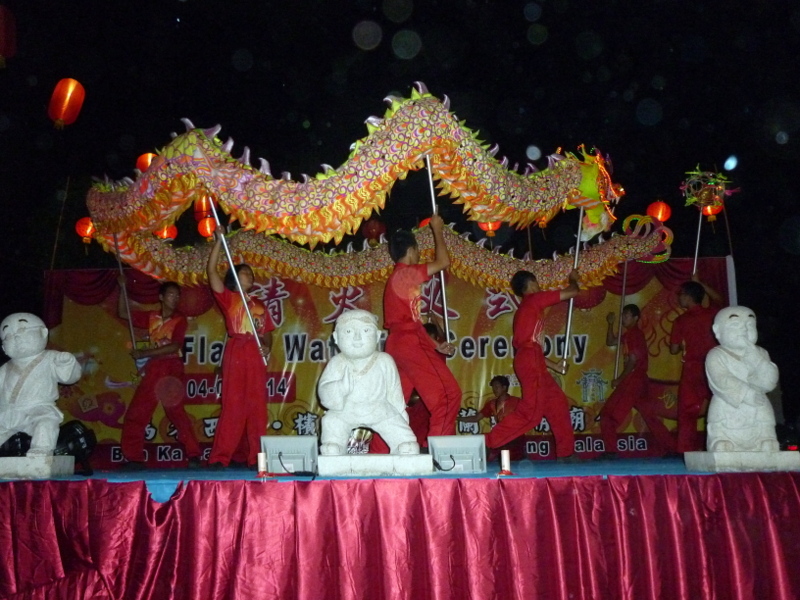 The evening’s performance ended with a Dragon Dance. 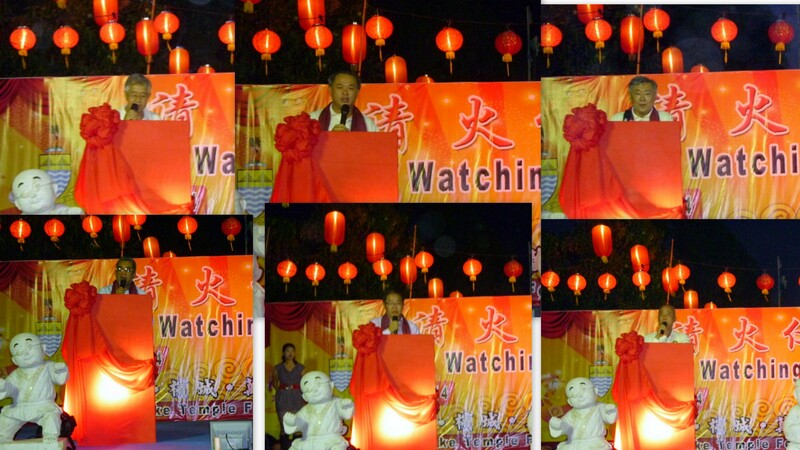 At 10.30 p.m. Y.B. 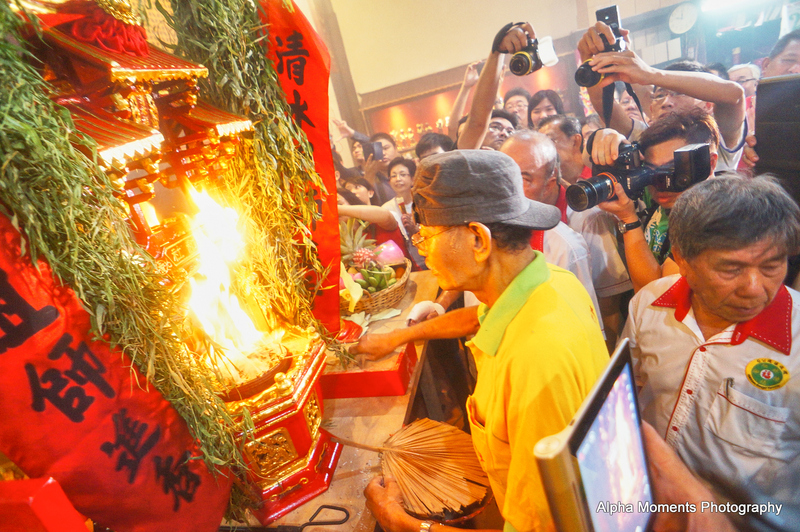 Danny Law officially ended the entertainment programme before proceeding to the Main Hall of Snake Temple for the Chiah Hoay Ceremony by Cheng Hoe Seah. 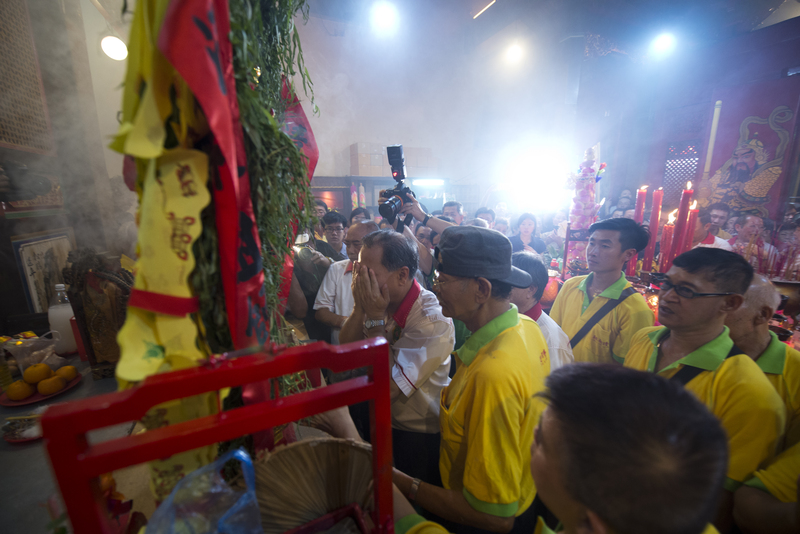 He stopped along the various Chor Soo Kong Kiosks to pay homage to the Deity. 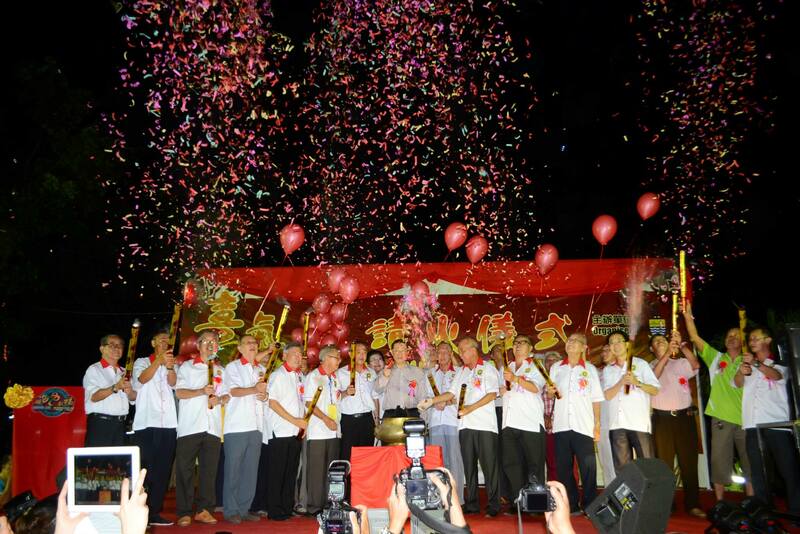 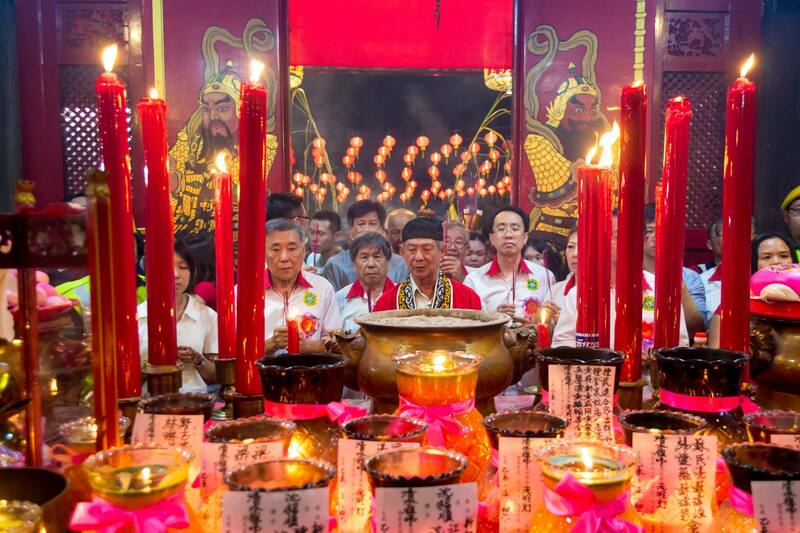 Annual Chiah Hoay Ceremony by members of Cheng Hoe Seah. 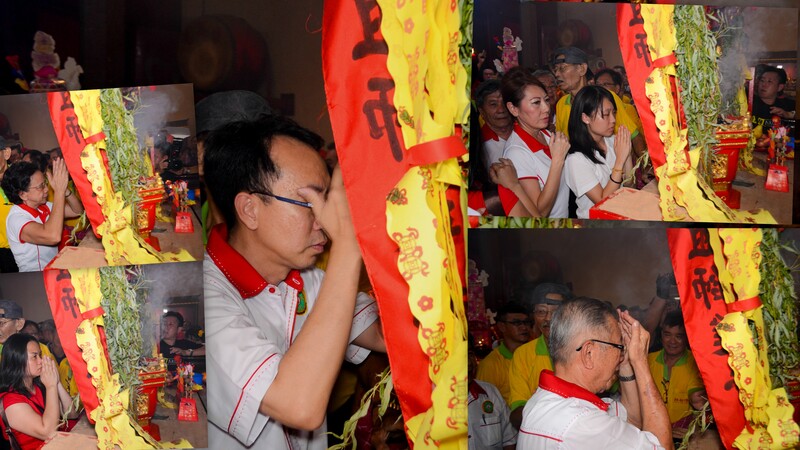 Lim Hua Kwang, Trustee of Hokkien Kongsi, Penang paying homage to Chor Soo Kong after the Chiah Hoay Ceremony. 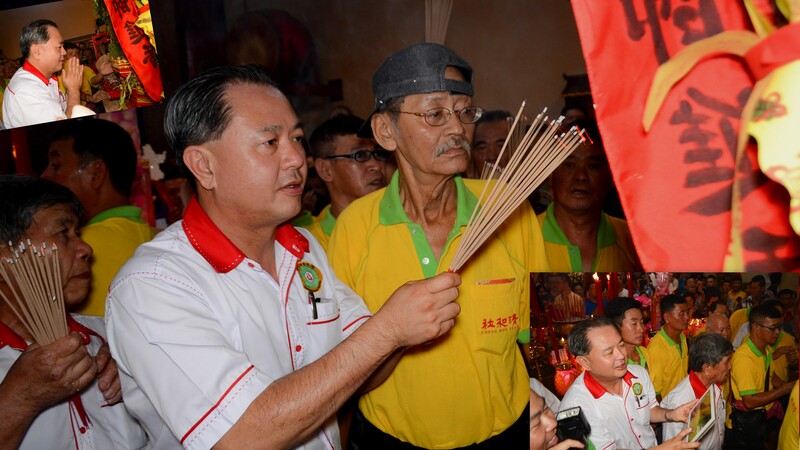 President of Cheng Hoe Seah, Mr. Teoh Hock Guan, briefing press members on the height of the flame for each trimester. 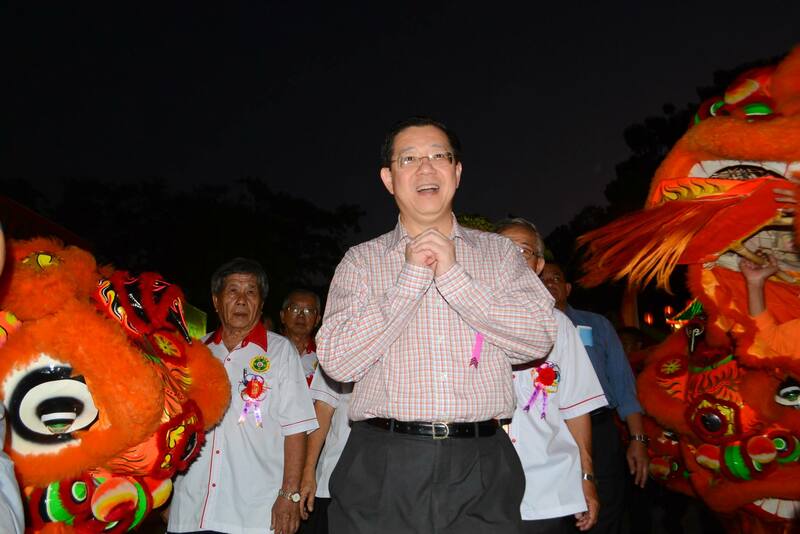 First 4 months – average, next 4 months – good and the last 4 months back to average again. 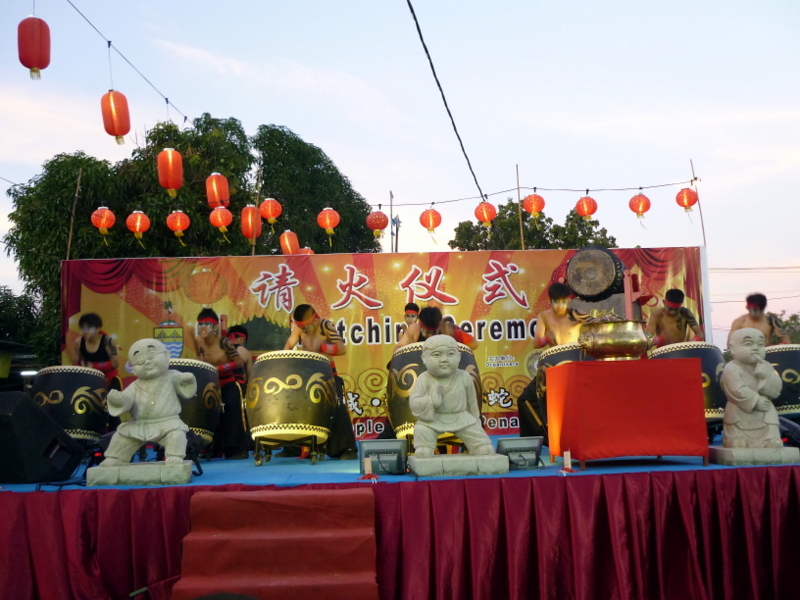 The evening’s Festival ended on this note with a forecast of the economy of Penang. 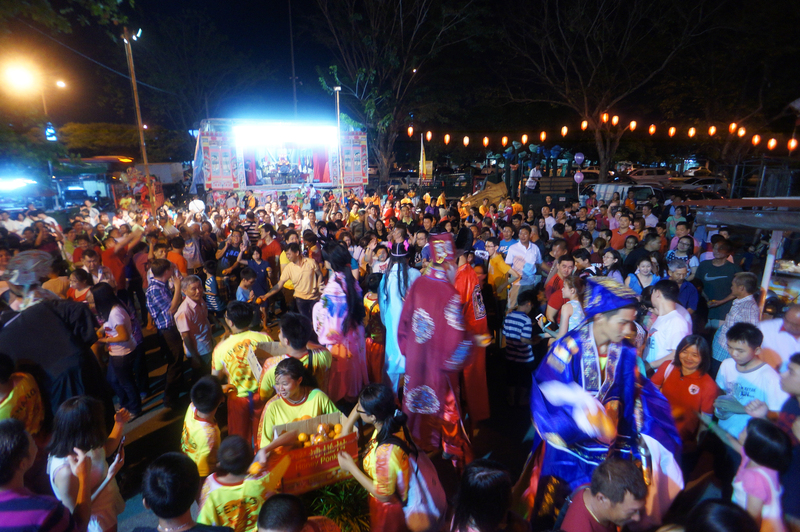 Although it was almost midnight, a massive crowd was still watching the Opera Show, Lion Dance Performance on Stilts, Chio Tian Culture Drum Performance, Chinese Martial Art Performance, Dragon Dance Performance and Snake Dance Performance outside the Snake Temple. 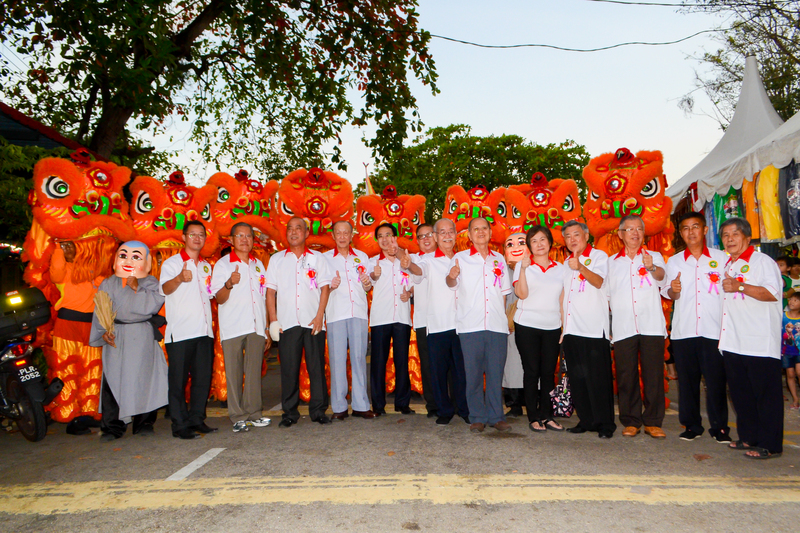 The Festival for 2014 was again a resounding success. 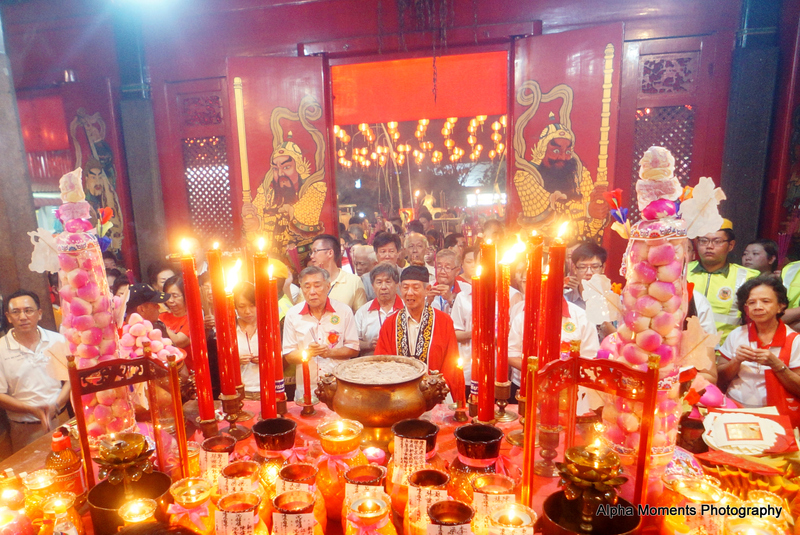 The Ban Ka Lan Snake Temple Flame Watching Festival 2014 will be held on Tuesday, 4th February 2014 (corresponding to the 5th day of the coming Chinese New Year). 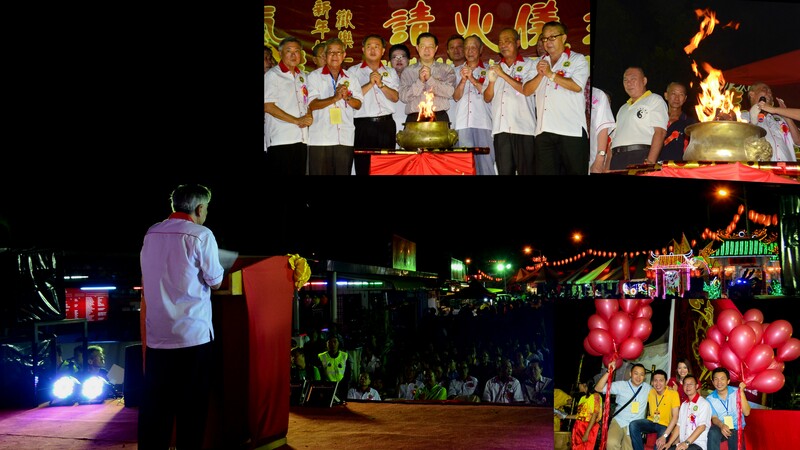 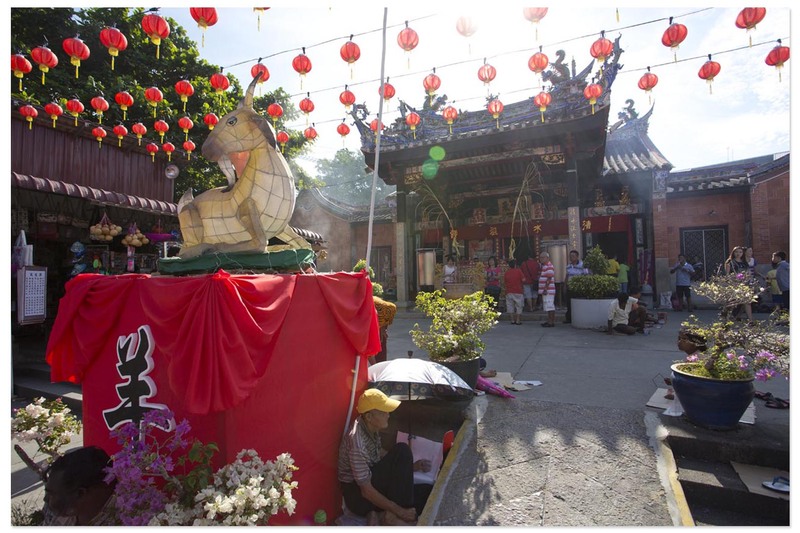 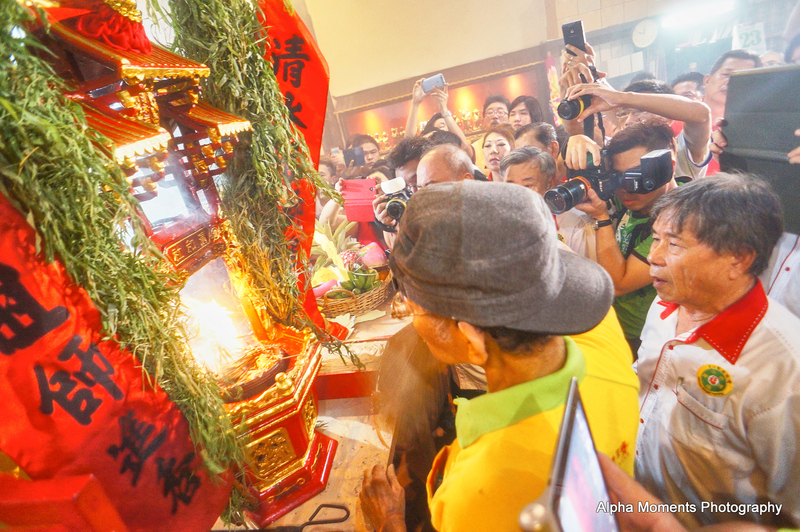 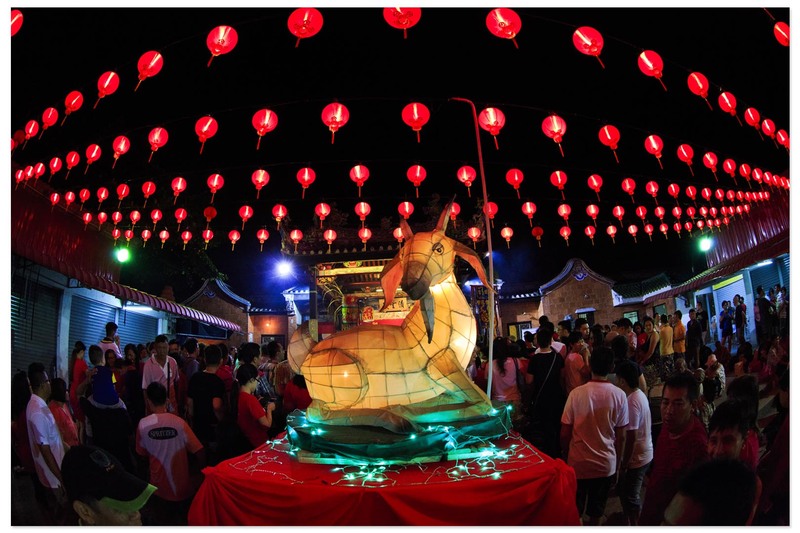 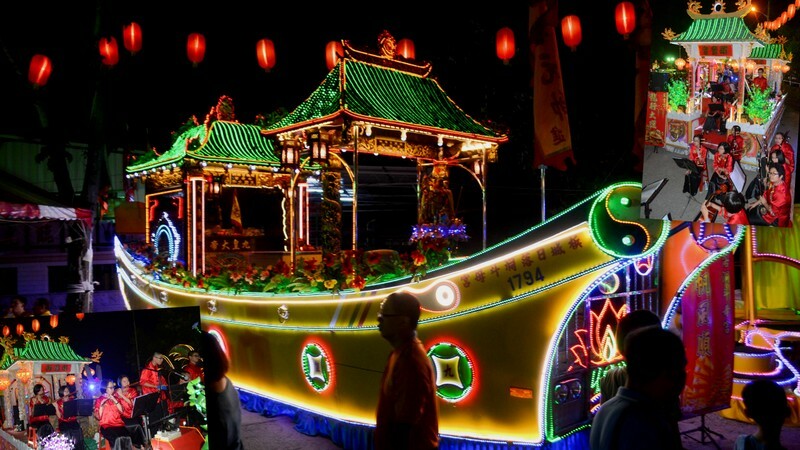 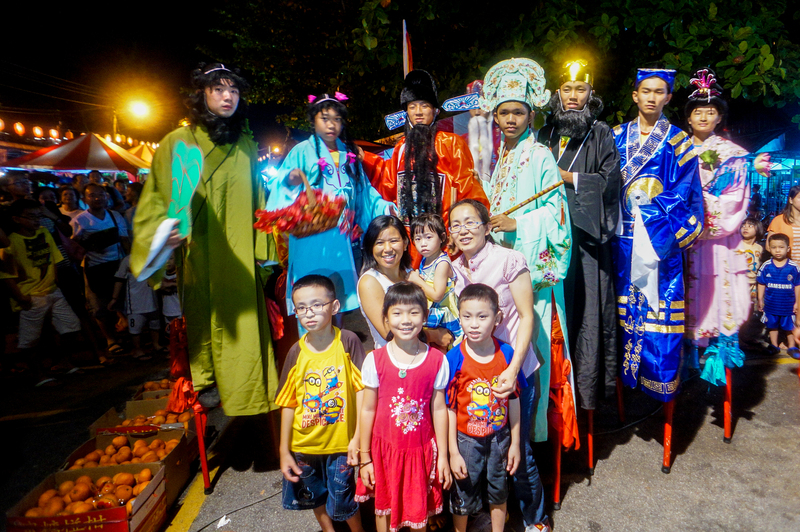 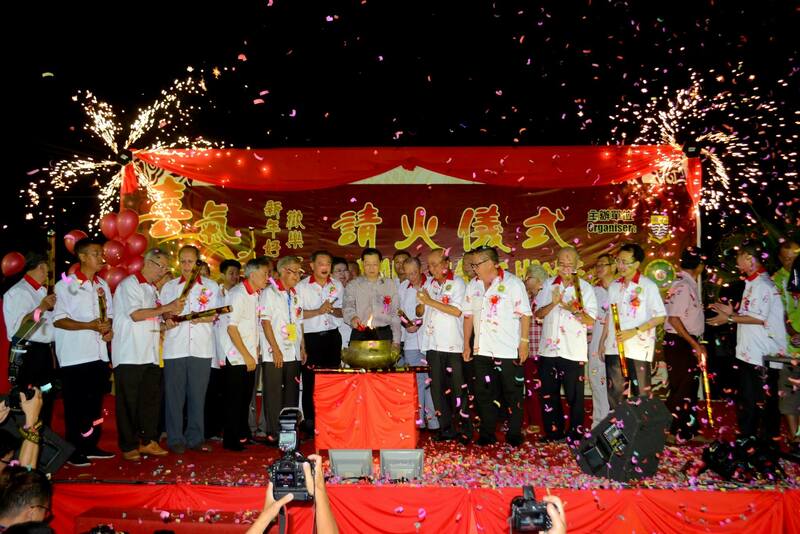 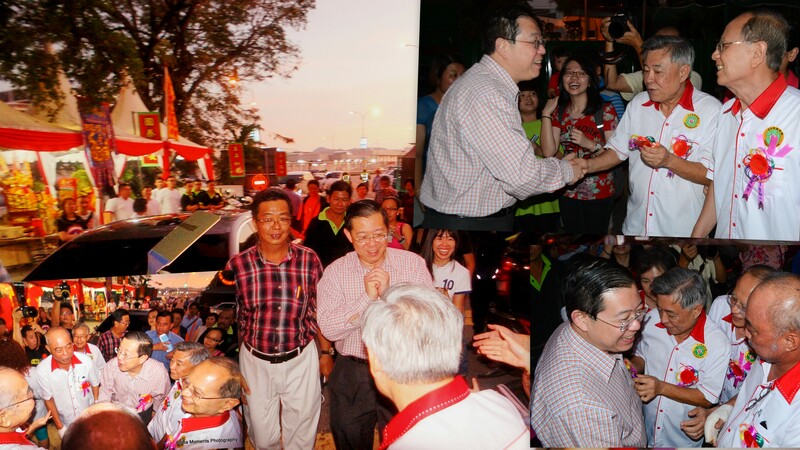 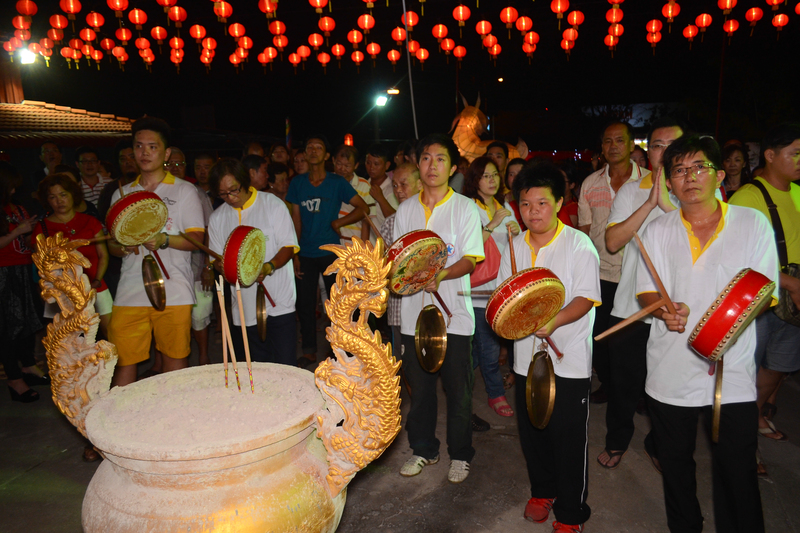 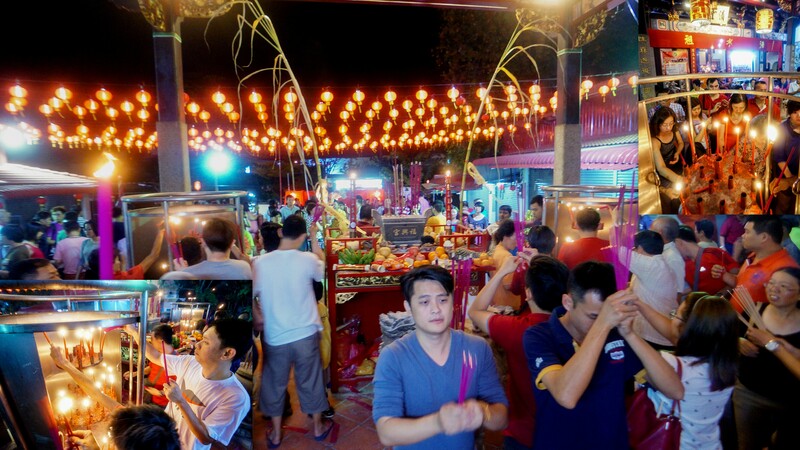 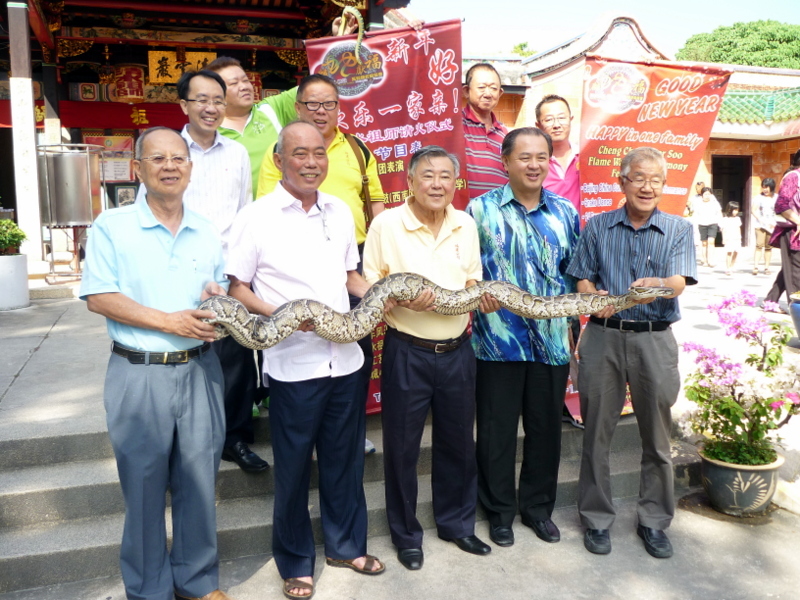 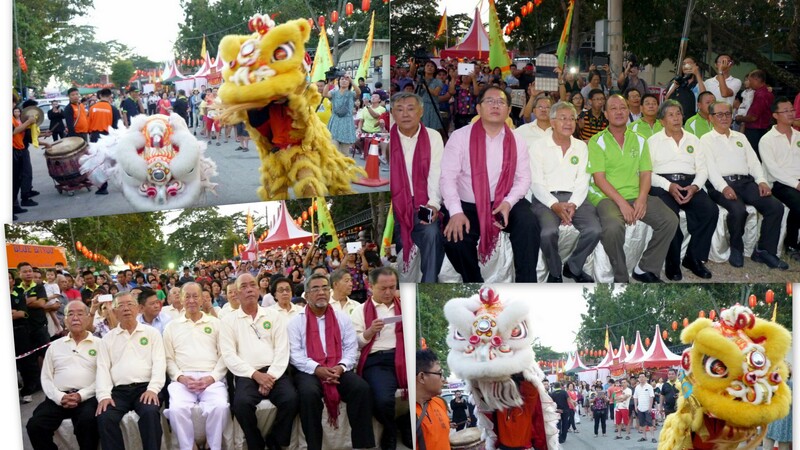 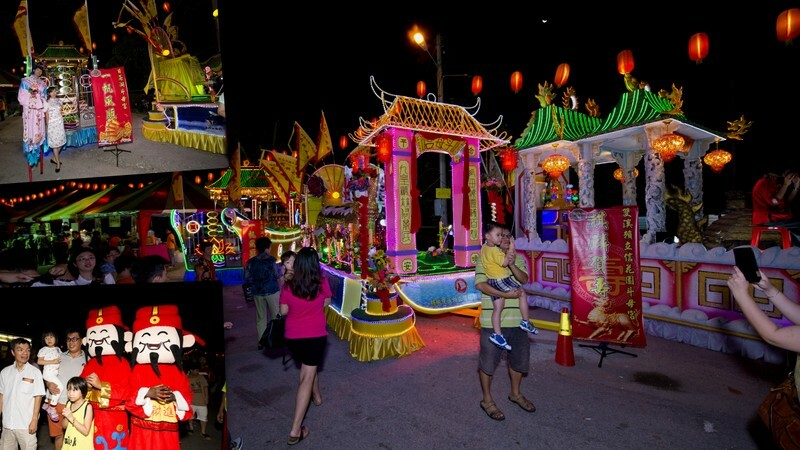 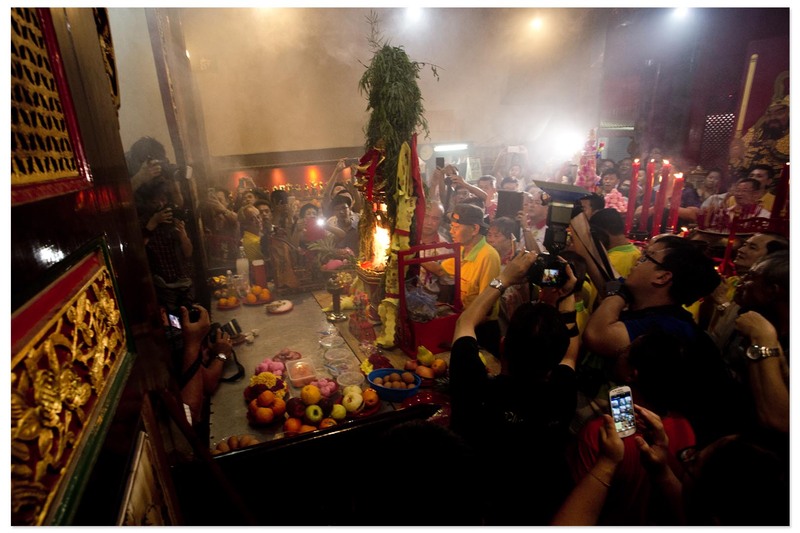 The event is jointly organised by the Penang State Tourism Development & Culture, Hokkien Kongsi, Penang and Ban Ka Lan Snake Temple Residents Area Committee. 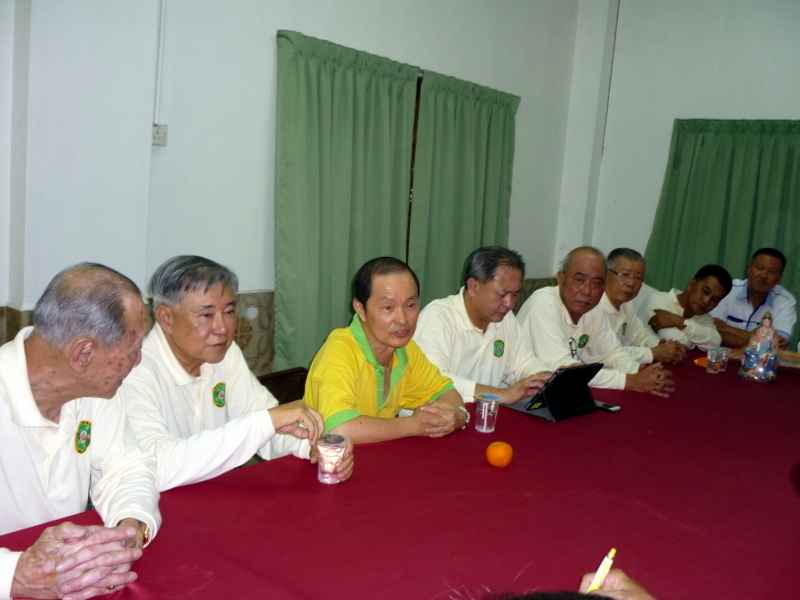 A Press Conference, chaired by Y.B. 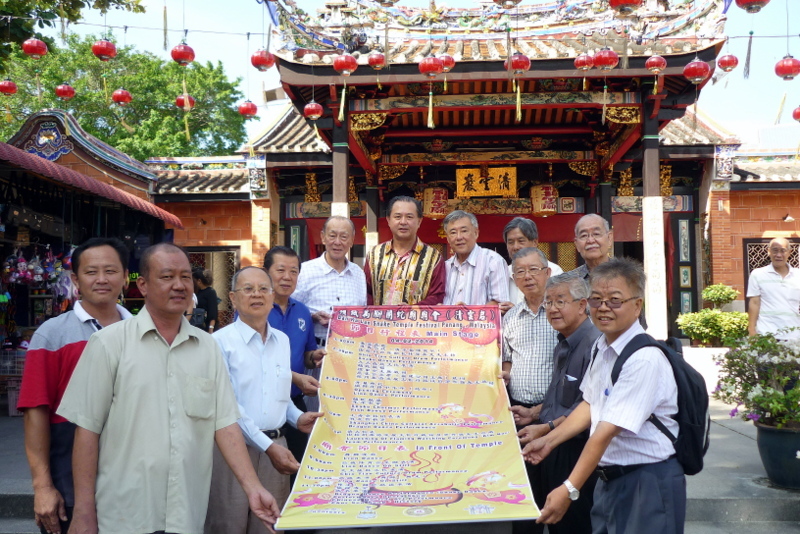 Danny Law of Penang State Tourism Development & Culture, was held at 10.30 a.m. in the Conference Room of Hokkien Kongsi, Penang at Snake Temple in Sungei Keluang. 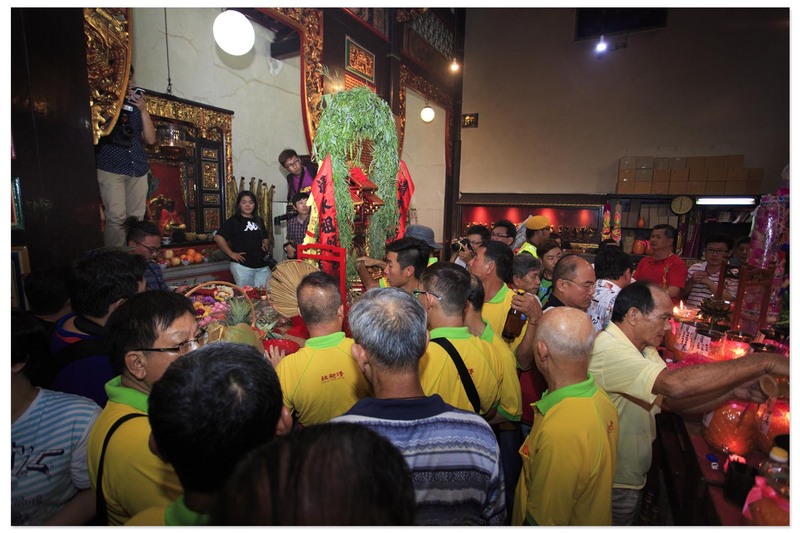 It was attended by Trustees of Hokkien Kongsi, Penang; members of the Ban Ka Lan Snake Temple Residents Area Committee and press members. 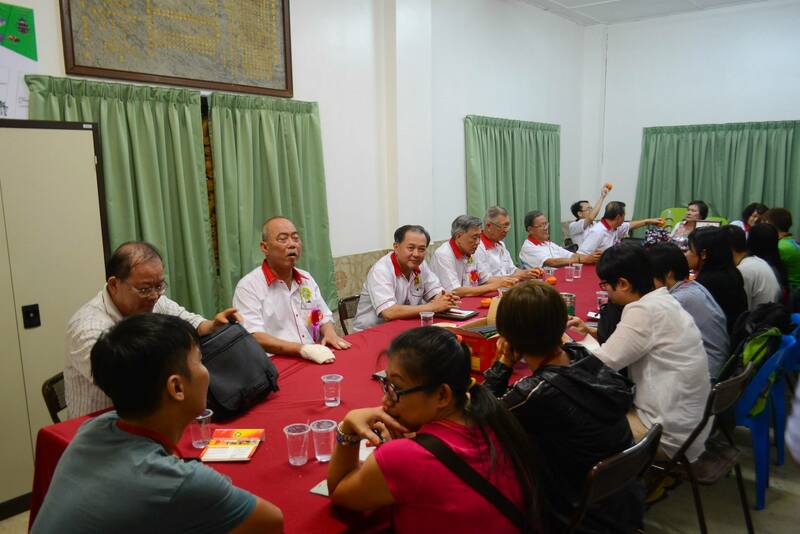 The conference was given a briefing on the Programme for the evening of the Festival. 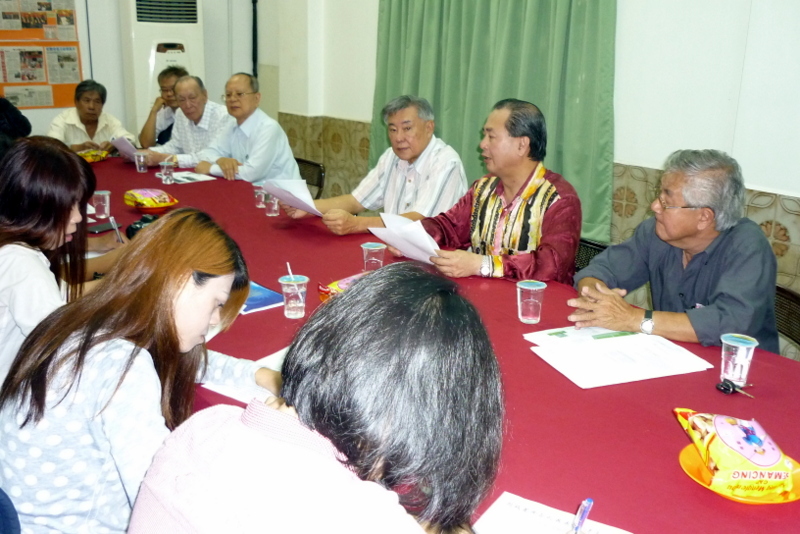 Press Conference chaired by Y.B. 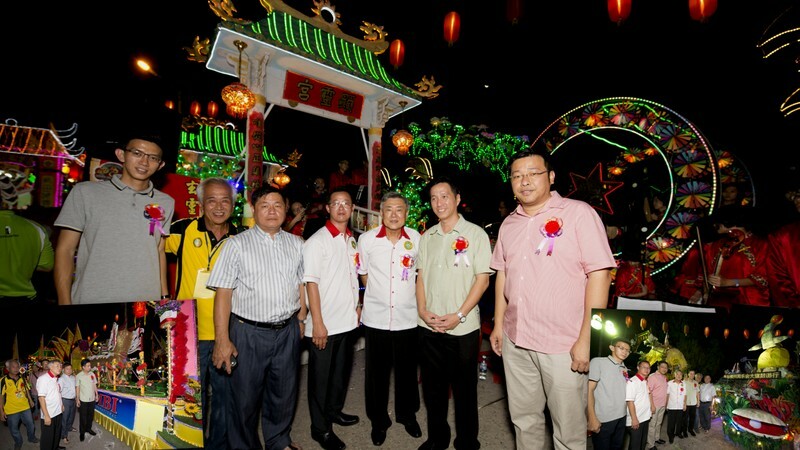 Danny Law together with Celebration Chairman, Khoo Kay Hock and Organising Chairman, Cheah Cheng Ean. 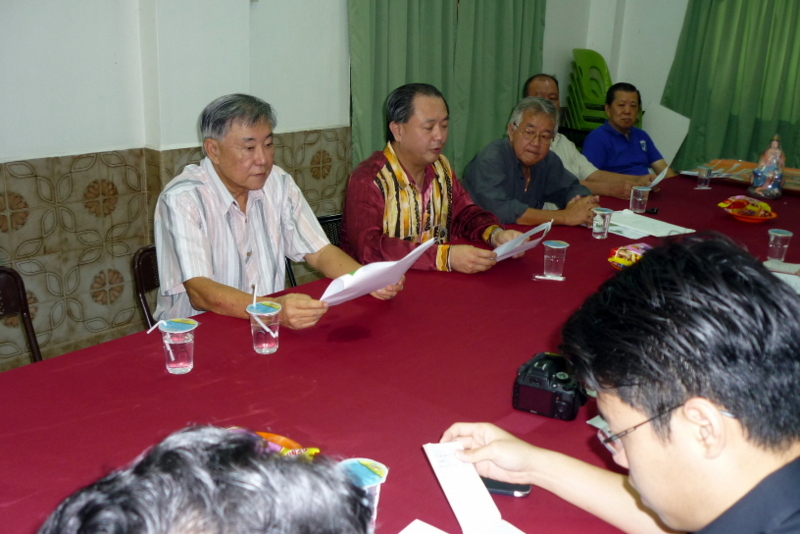 Press members taking notes during the Press Conference. 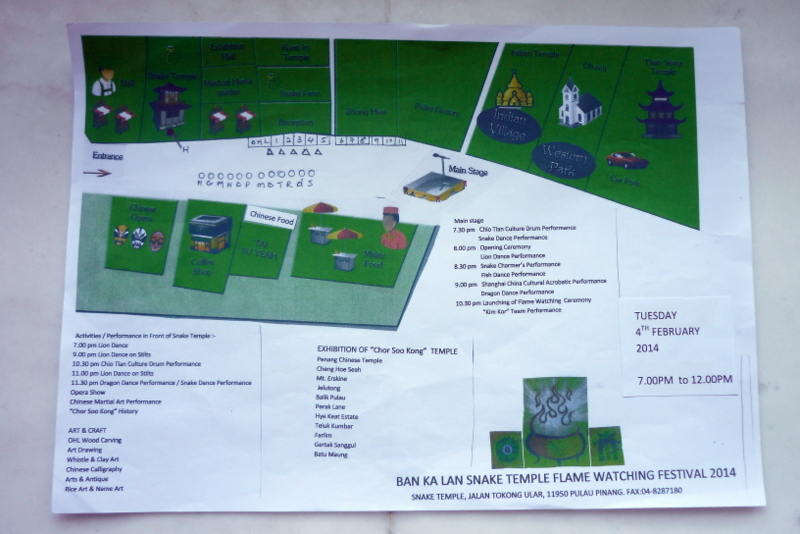 Site Layout of the Ban Ka Lan Snake Temple Flame Watching Festival 2014. 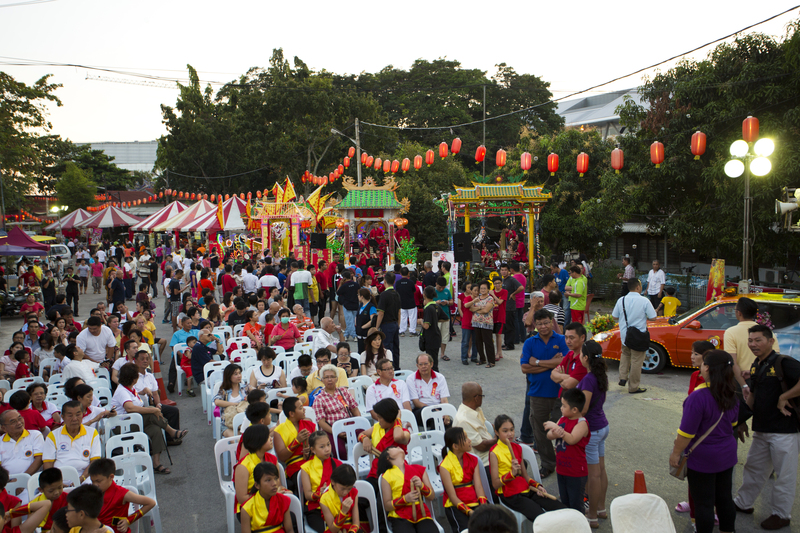 We would like to invite all our Malaysian friends to come and join our Festival on Tuesday, 4th February 2014.